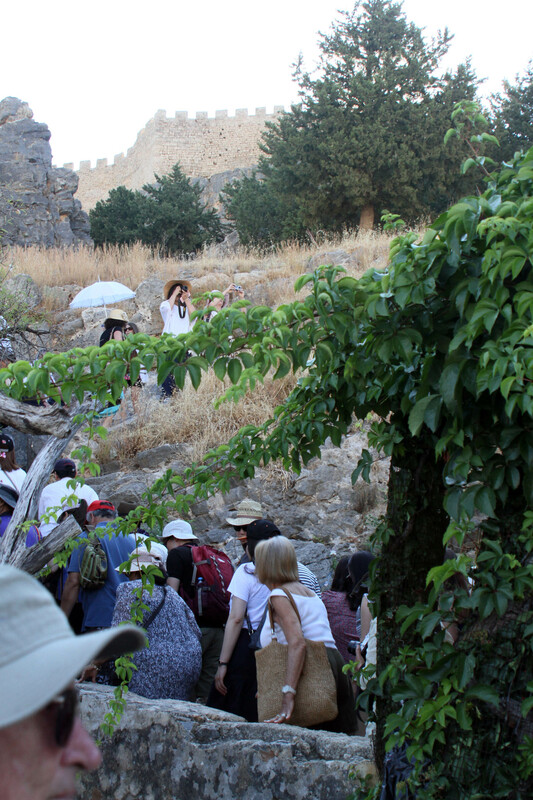 From Revelations to ancient cities, Greece tour continues. 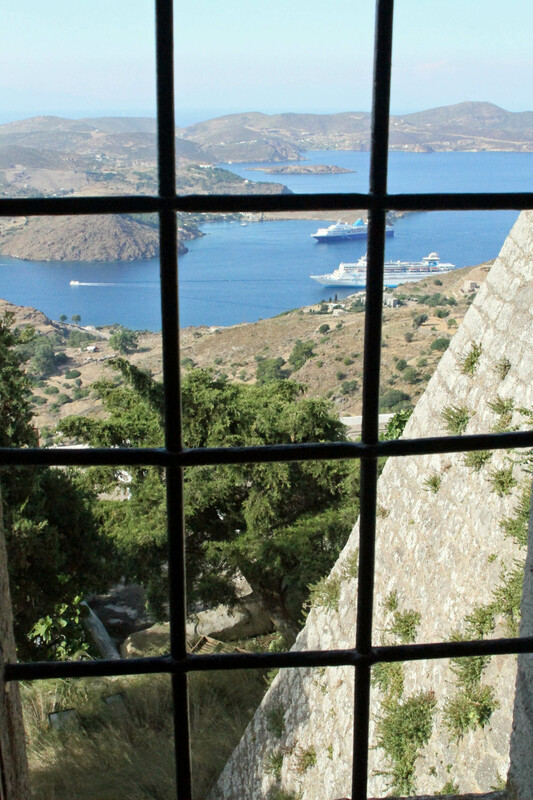 Looking down at our ship from the Monastery of St. John on Patmos. Our family adventure through the Aegean area continues as we board our new intact ship in Kusadasi. We had a wonderful night sleep and lazy morning before heading over and dealing with some minor incompetence with the bus and ship crew. The bus driver let us off the bus so we had to walk through a shopping area which normally is not a bad thing but with my mom on crutches I was disconcerted to see the bus pull up with our luggage just outside the security area where we finally arrived on foot. The ship crew grabbed our bags but had them sent to the wrong cabin. 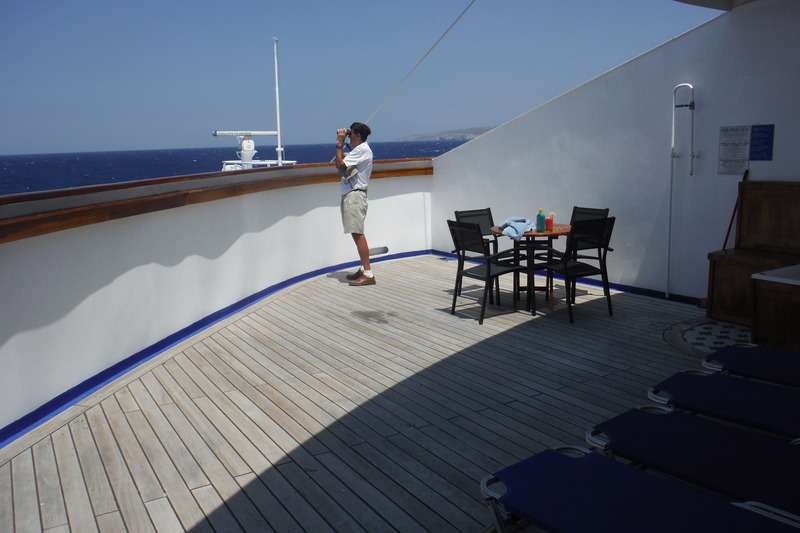 I was beginning to worry about this cruise line but it turned out okay and we had a very nice room with a sizable deck. The roll out bed was again not good, but all in all it was a pleasant room with very nice staff. 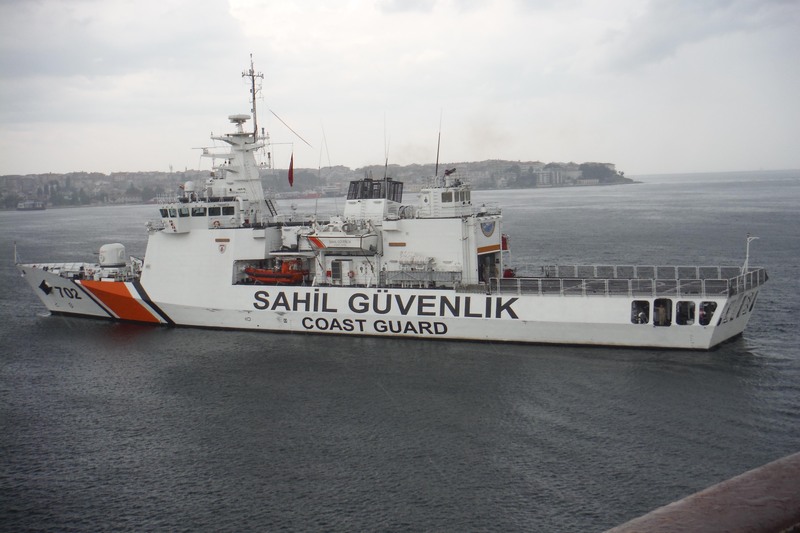 When we went to muster for the lifeboat meeting, I asked the crewman where we should go if the boat was to say collide with another ship and that area was damaged. For some reason he did not have an answer for that. 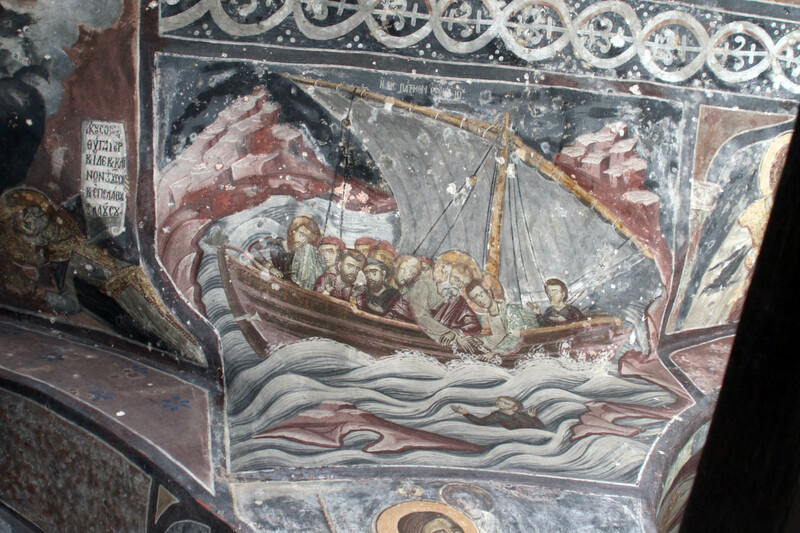 Beautiful paintings adorn the walls of the monastery. 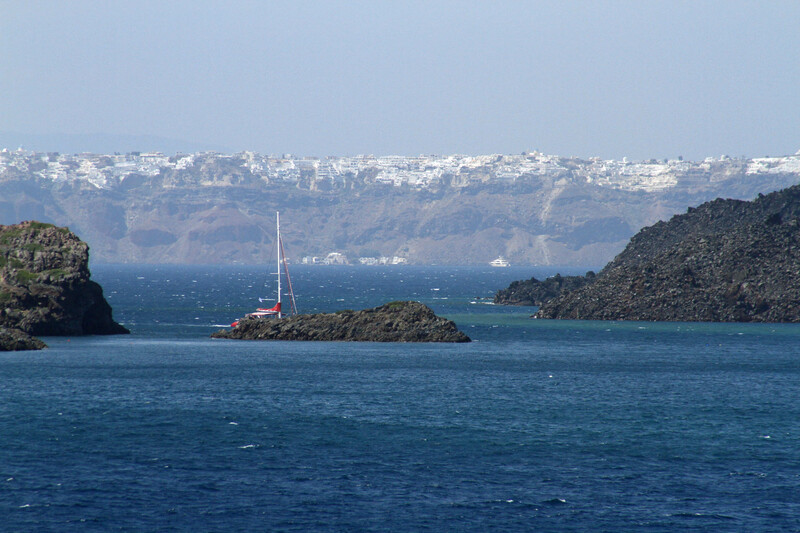 So, right away we sailed to nearby Patmos. This was not on our original itinerary but I was delighted because this is the island where the apostle John lived in his later years and where he wrote Revelations. While mom rested her foot and relaxed Dad and I headed out on the excursion. We were taken on a bus up the large hill (of course, everything is on top of the mountains on these islands). 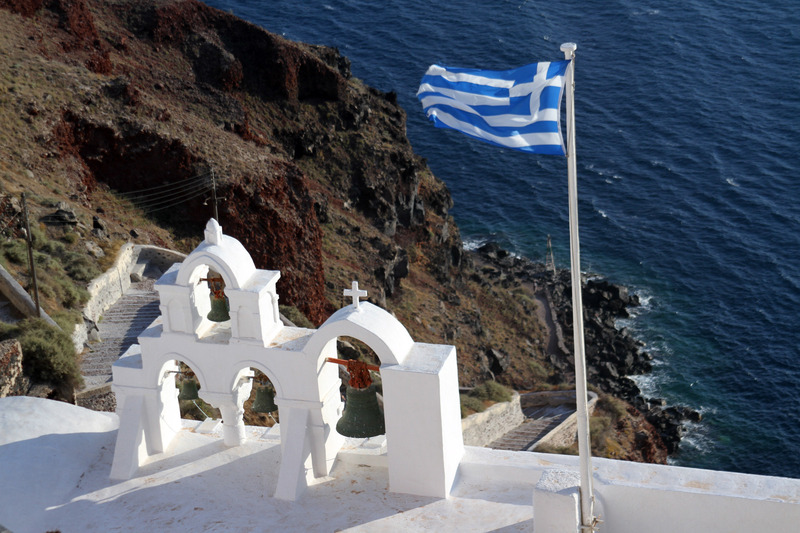 We had a hike up the road to the Monastery of Hagios Ioannis Theologos and it was worth it. 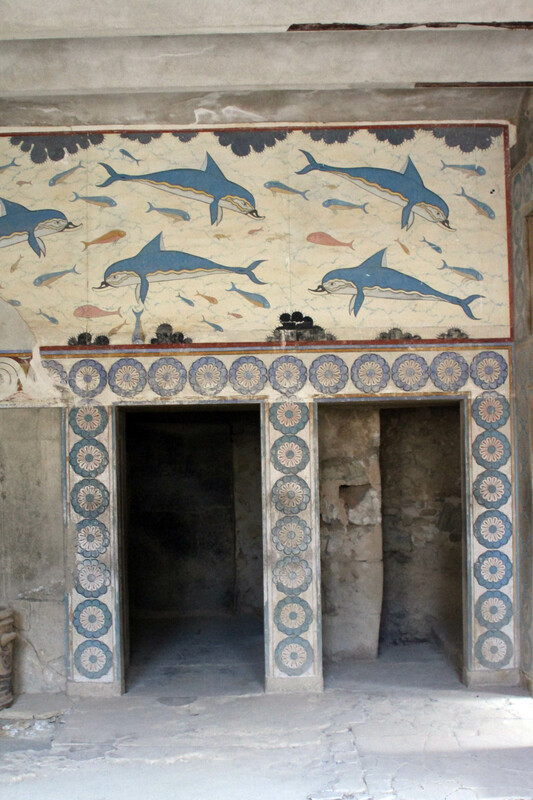 As we stepped in to the courtyard and waited to enter the inner sanctum, we viewed the beautiful ancient paintings that adorned the walls and arches. They were biblical scenes and portraits of the saints. The views from the top were stunning. There was a museum there with wonderful artifacts. 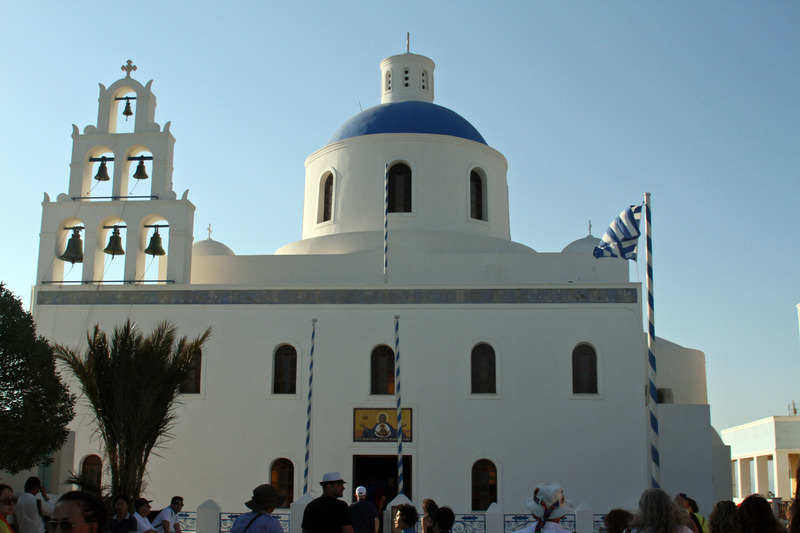 The sacred cave on Patmos. The far corner is where John fell asleep. The apostle John was the only one of the original 12 who did not die a martyr. Not for lack of trying on the part of the Romans. 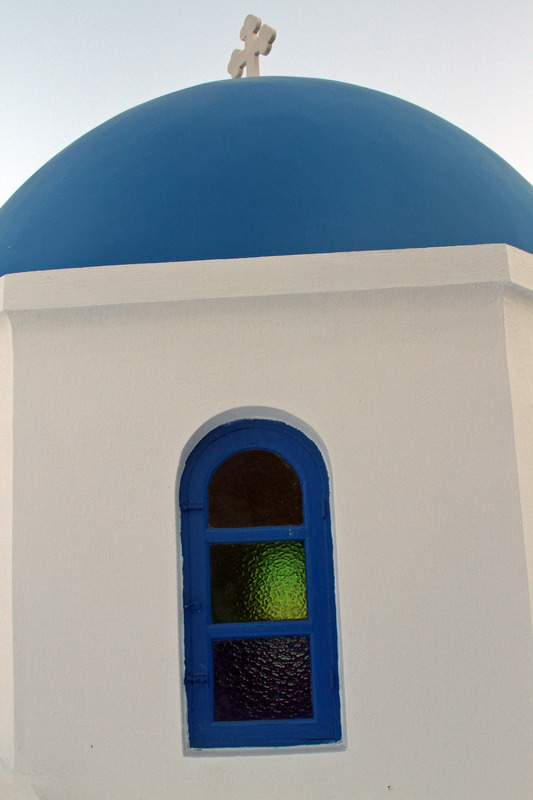 After failed attempts to kill him, he was banished to the island of Patmos where in his golden years he received visions from God that inspired the book of Revelations. 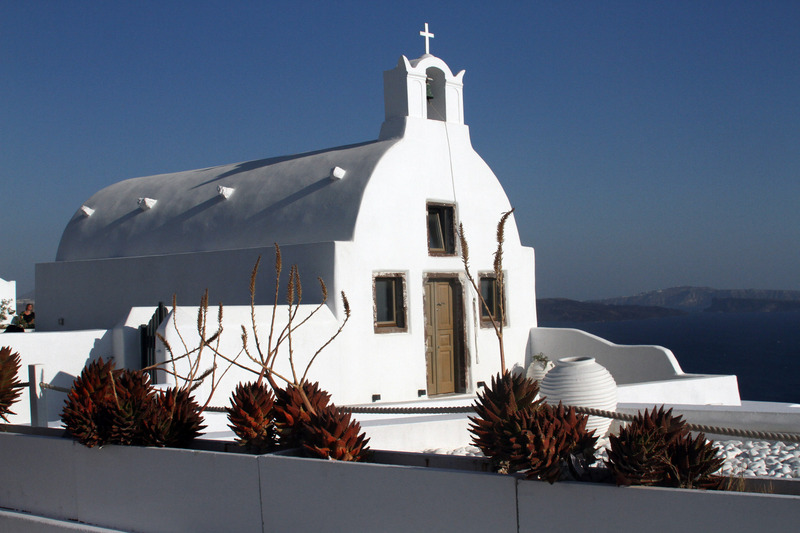 John fell asleep in a cave on the hill on Patmos and recited the visions to an assistant who wrote them down. 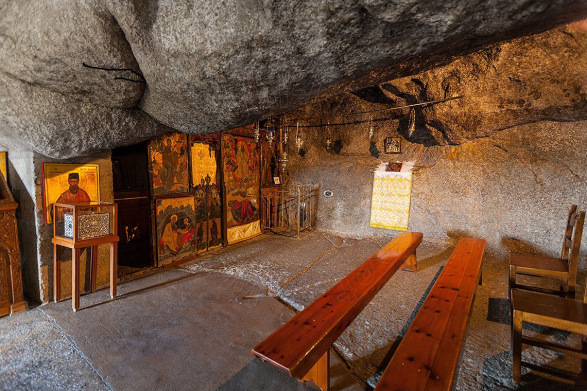 The cave now is surrounded by a chapel. 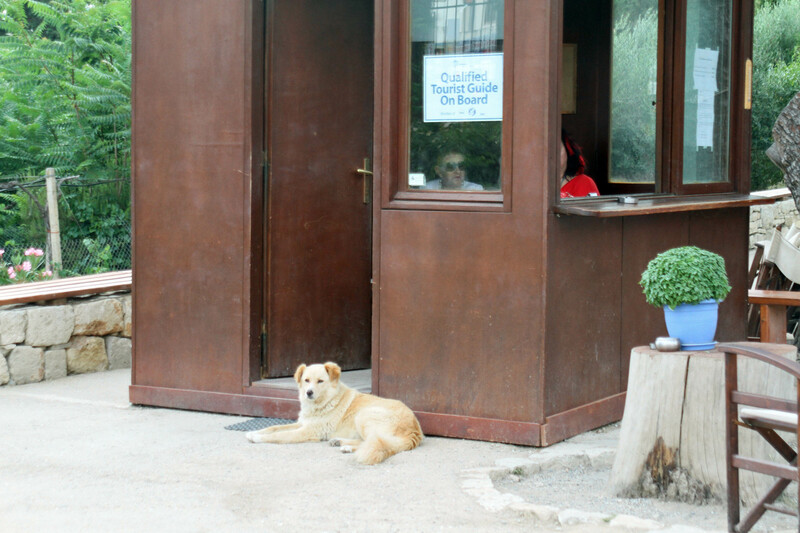 We walked through a gift shop and down many steep stairs before entering the cave. It seemed to me like an indentation in the hill with massive boulders sticking out of the roof area. 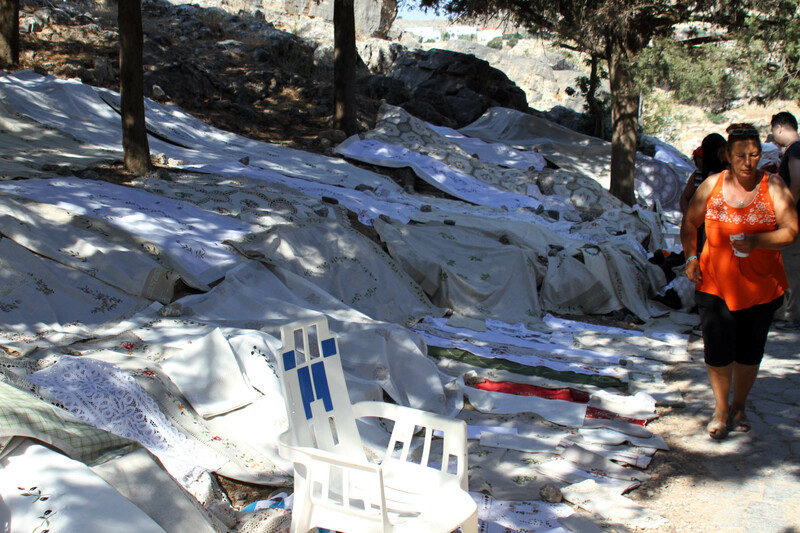 We walked past the spot marked off where he slept and under some more roof boulders. 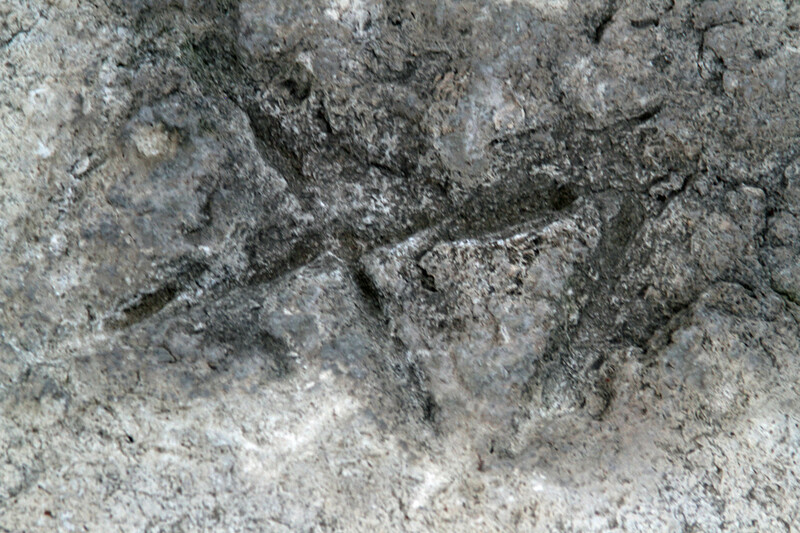 There in that ceiling area was a three line crack in the rock symbolizing the holy trinity. It was a wonderful feeling to be in that place where John lived in the Spirit. It was a very nice excursion and back on the boat we enjoyed a nice dinner and viewed the stars off our deck. 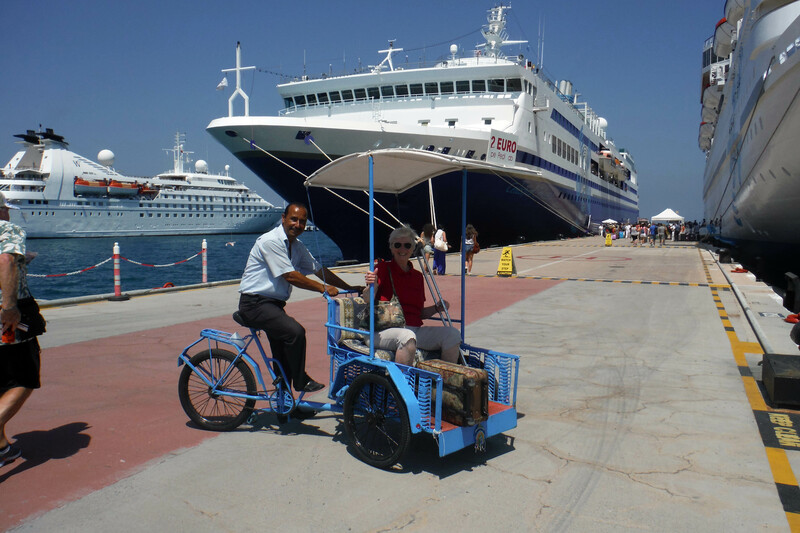 Day two on our new short cruise was spent docked at Rhodes. 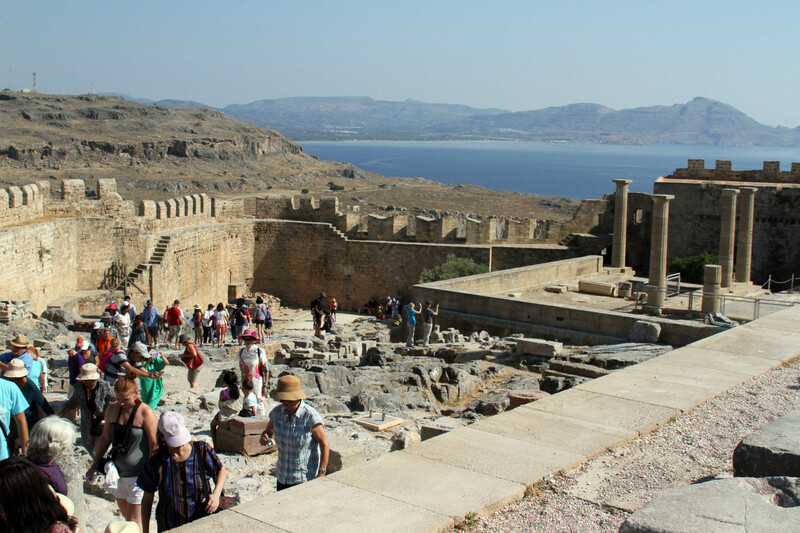 Our excursion took us out to the village of Lindos, an ancient town at the base of an Acropolis. This was a steep long hike kind of day. 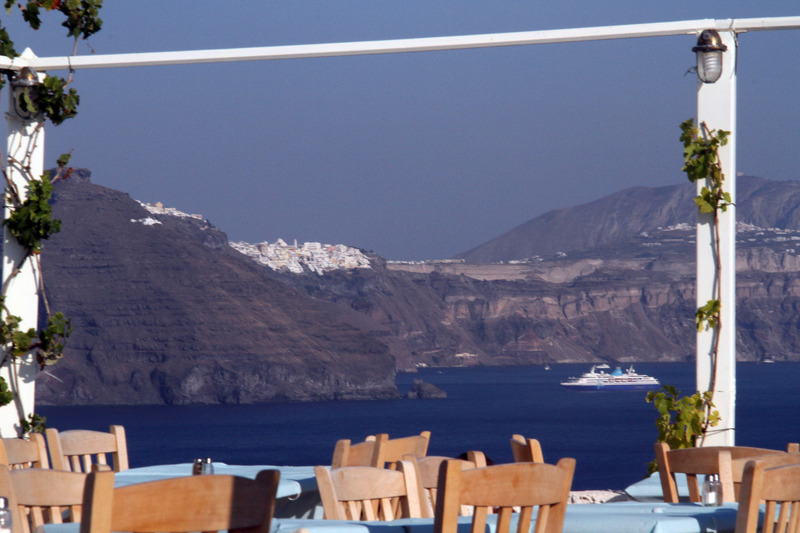 We could see the Acropolis from miles away. 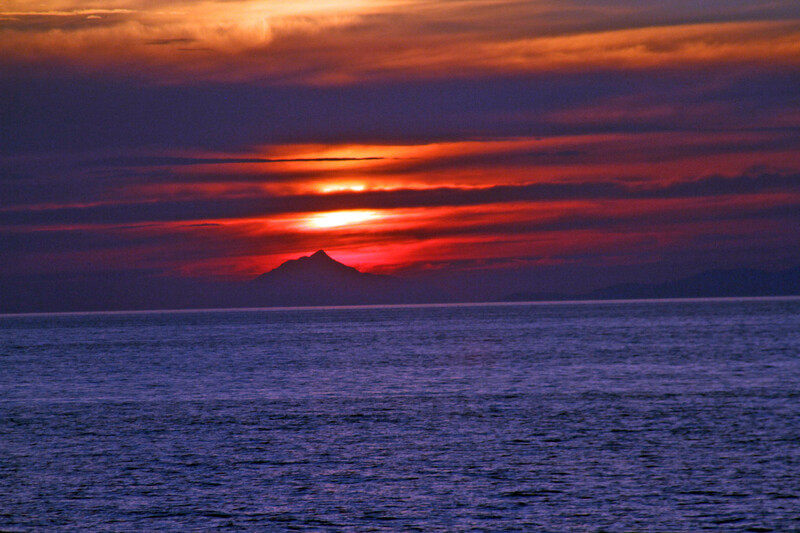 It sat on the edge of the Aegean Sea. The buses parked at the top of a hill so the walk started with about a ½ mile hike down to an area where tickets and taxis could be obtained (note for our trip back up). We wound our way through the narrow pretty streets of the village. 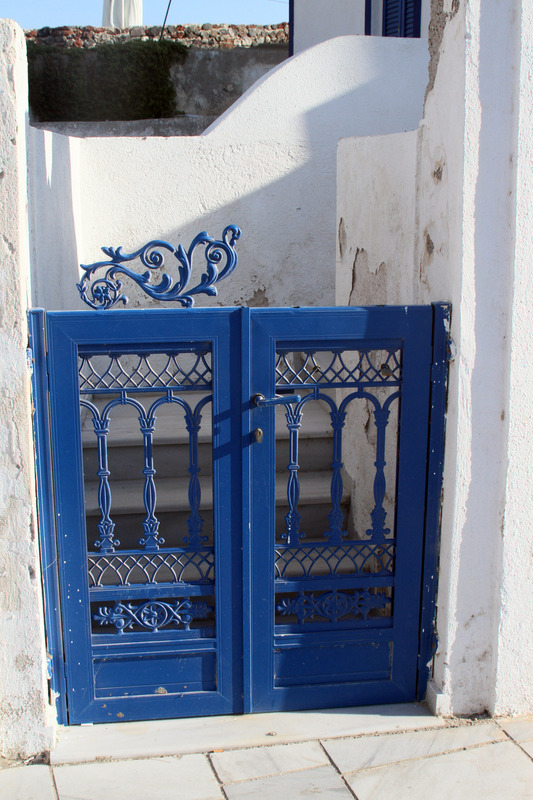 The pedestrian streets were canopied with vines and occasional openings where we spied the mountain ahead. 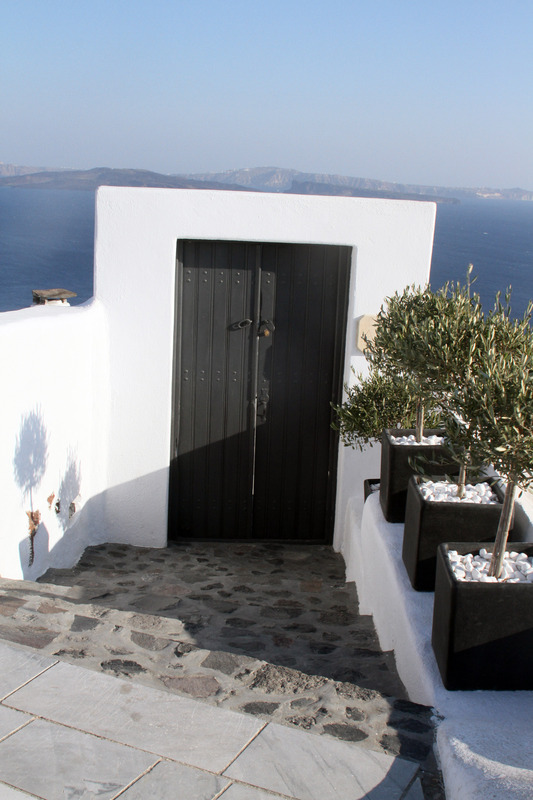 Many courtyards and floors were made up of black and white pebbles arranged in pretty designs. Women from Lindos spread their linens along side the hill. 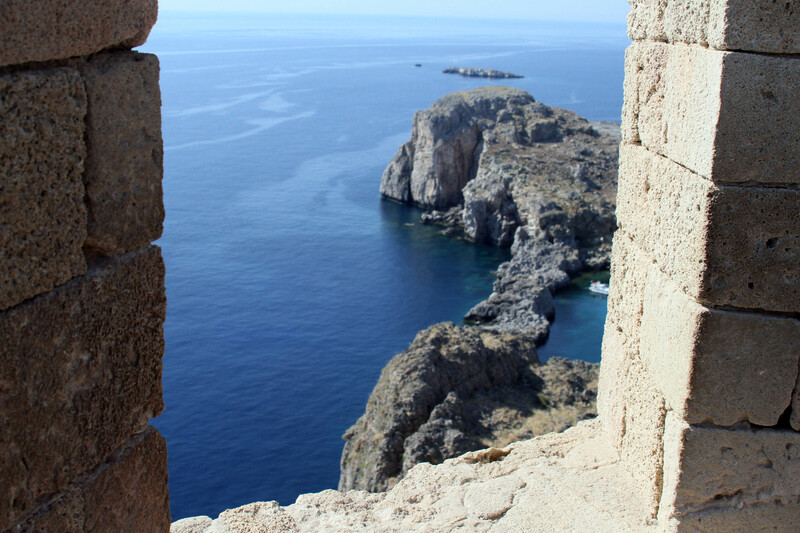 The Acropolis at Lindros housed a church, columns of a stoa, a temple, another hill within the fortress that was filled with boulders, and views through the gaps in the wall of the Sea and the village below. 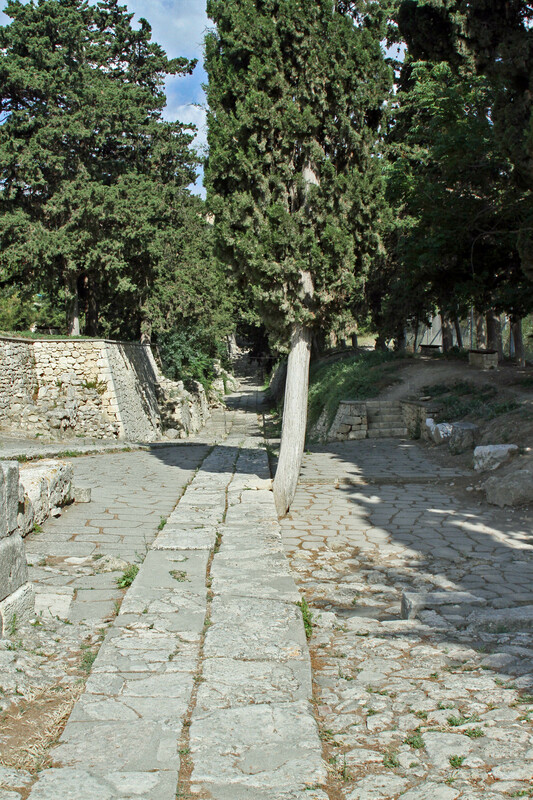 We strolled around for a bit before heading carefully down the steps and path to the village where we did some shopping before heading back up to the bus and off for a tour of the ancient city of Rhodes. We entered the ancient city on foot over a bridge that covered a dry and very wide moat. 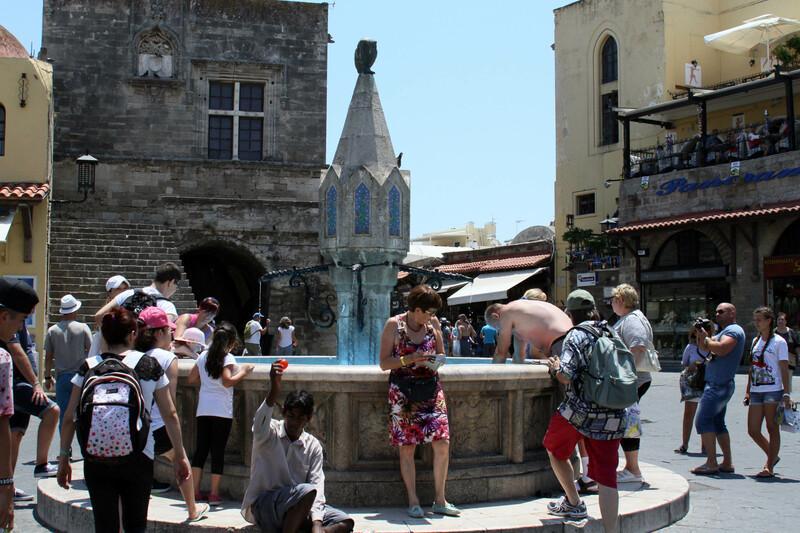 We didn’t do too much here but did see the outside of the castle, walked down the Knight’s Street, and then just through some of the streets where we shopped, checked out the locals that live there, and spotted an active public fountain in a big square. 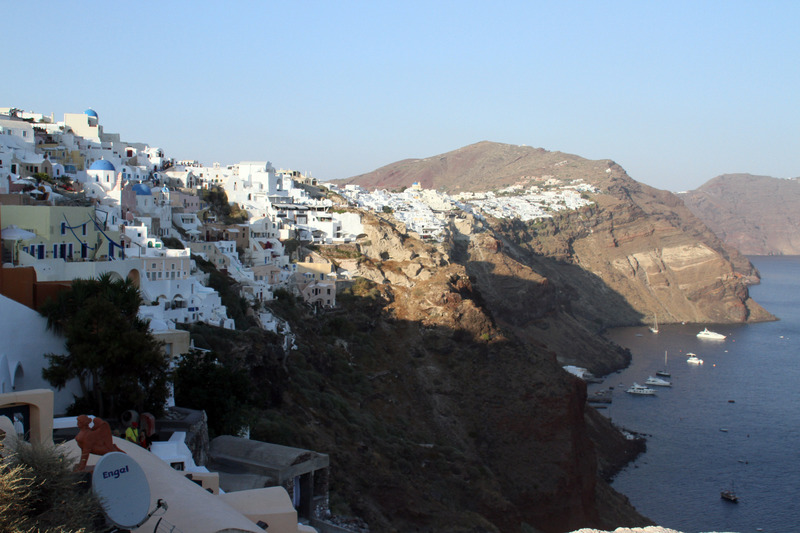 We were on our own coming out of the ancient city since it was right at the port and we could casually walk over to our ship at our leisure. We spent the entire day there—I went to the pool and my dad went back to town to walk around a bit. 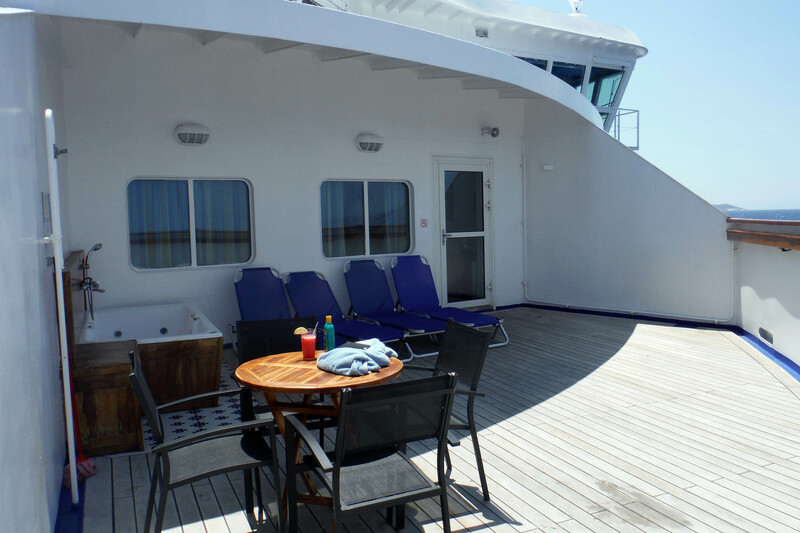 It was one of the more relaxing days on the cruise with pretty views of the port from the pool and our deck. 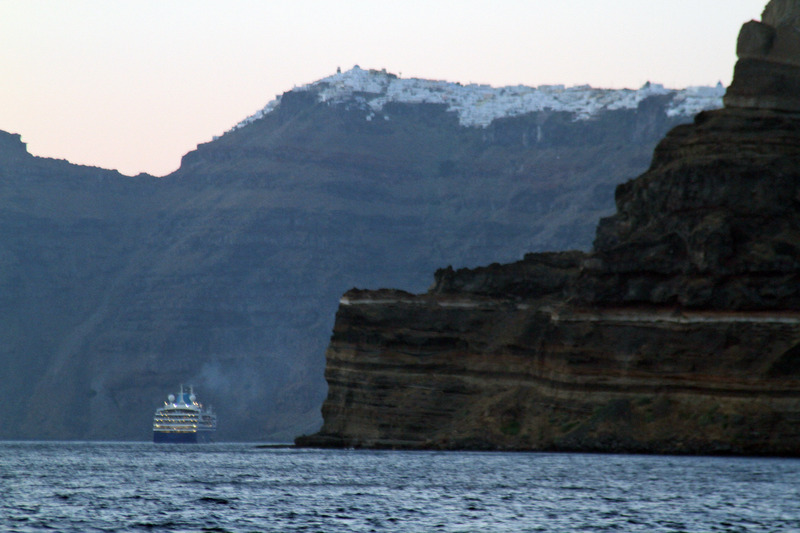 In the late afternoon we left the port and sailed toward our next stop, Crete. 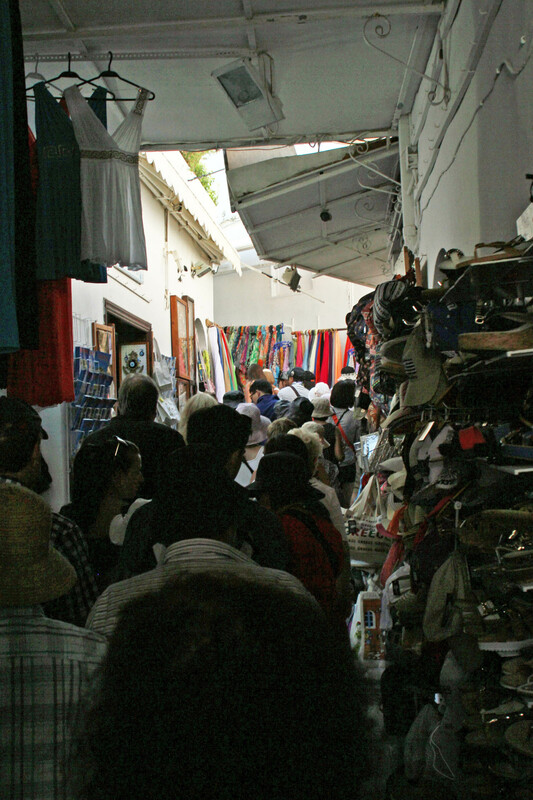 Narrow streets of Lindos and lots of shops. 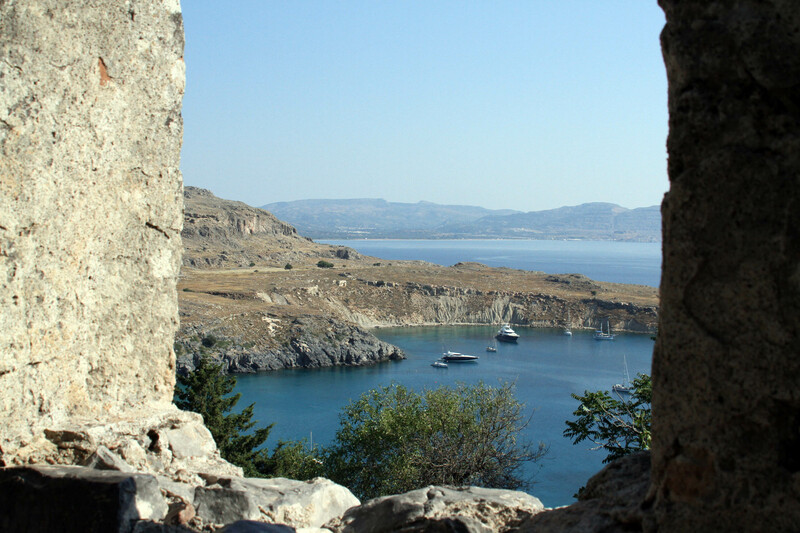 Top of the fortress at Lindos. 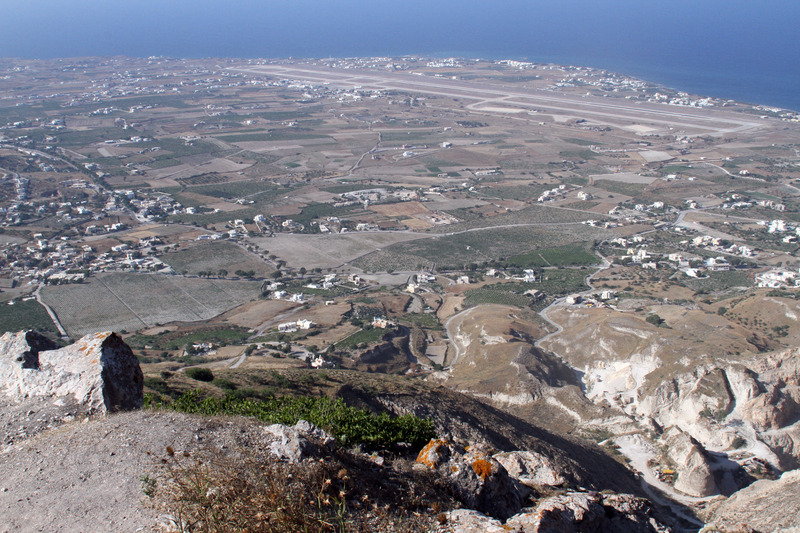 Looking down from the Acropolis at Lindos. 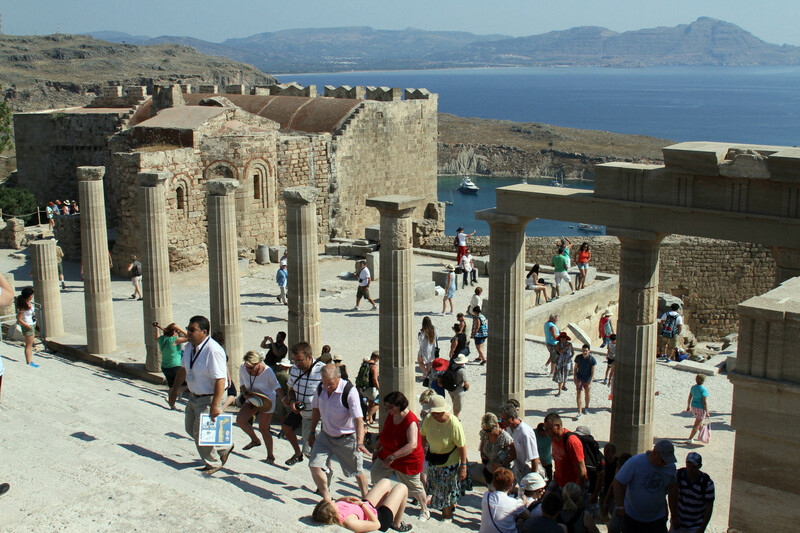 The temple columns and a church beyond–parts of different eras of the fortress at Lindos on Rhodes. 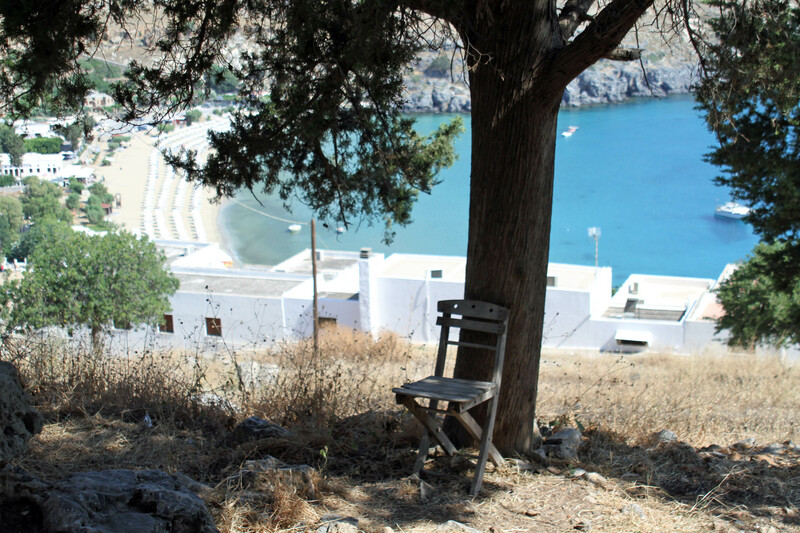 Need a resting place for the hike up this hill at Lindos. 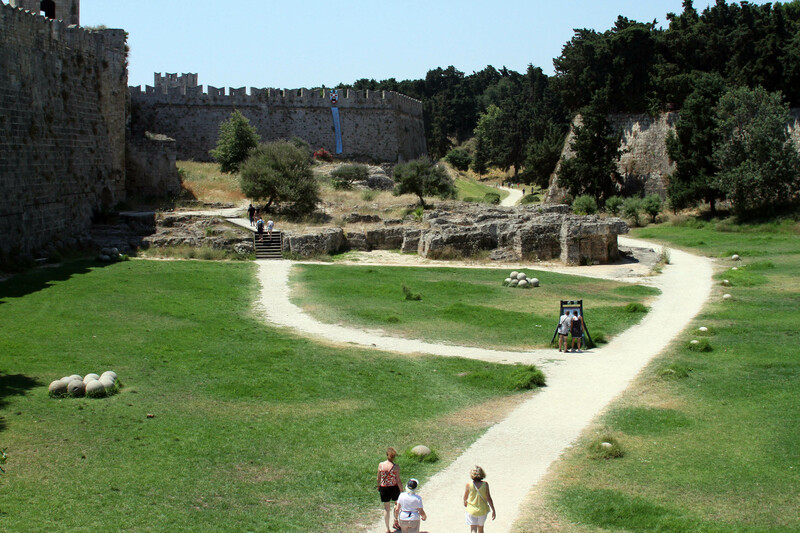 This was one huge moat surrounding the ancient town of Rhodes. 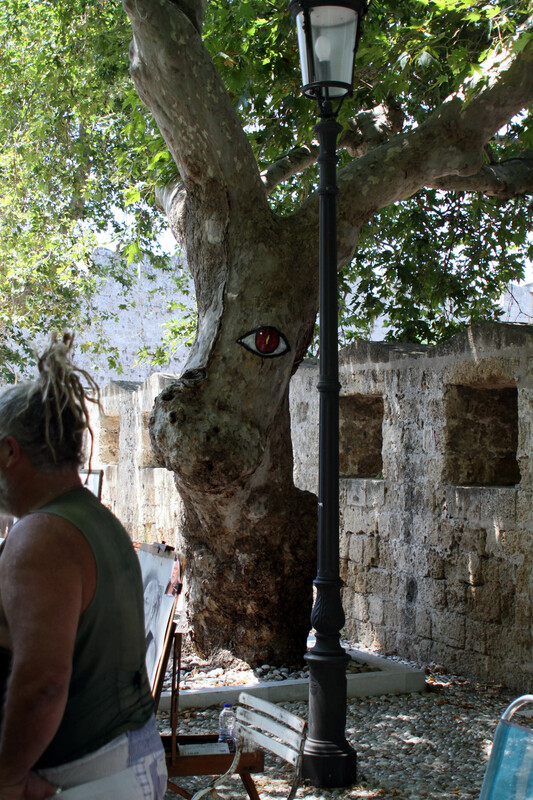 A bunny tree in Rhodes. 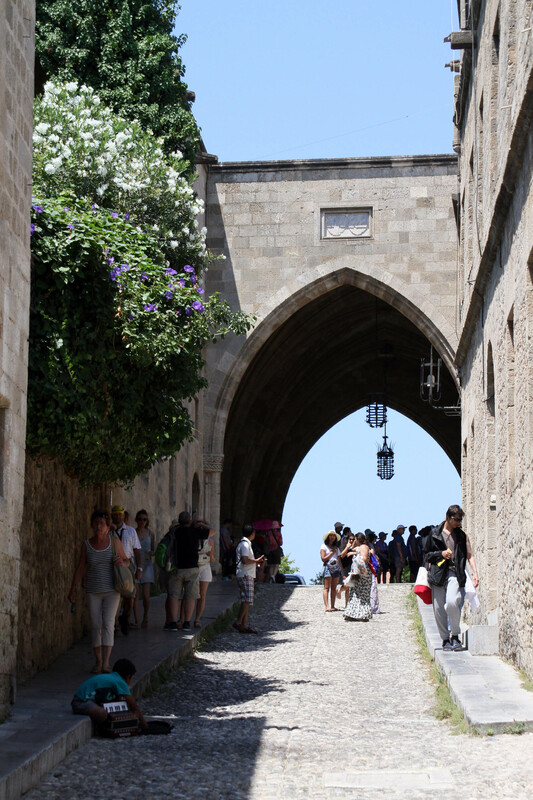 The Knight’s street in Rhodes. 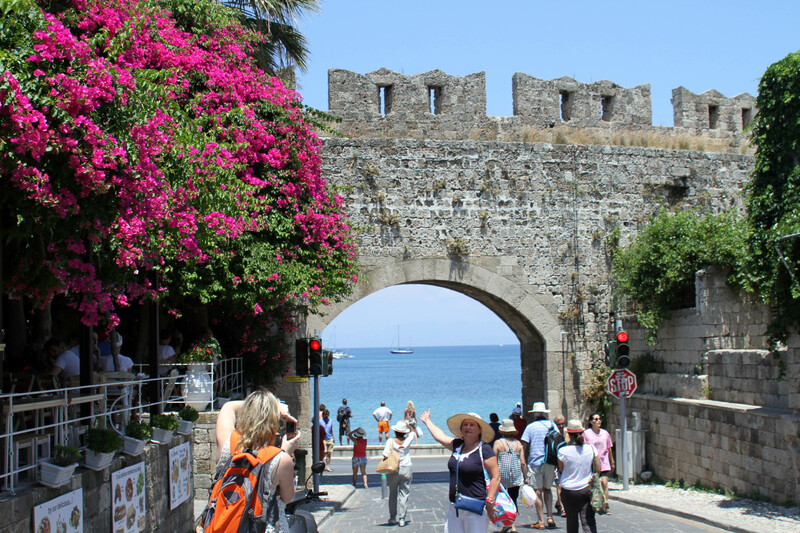 Exiting the ancient city of Rhodes. 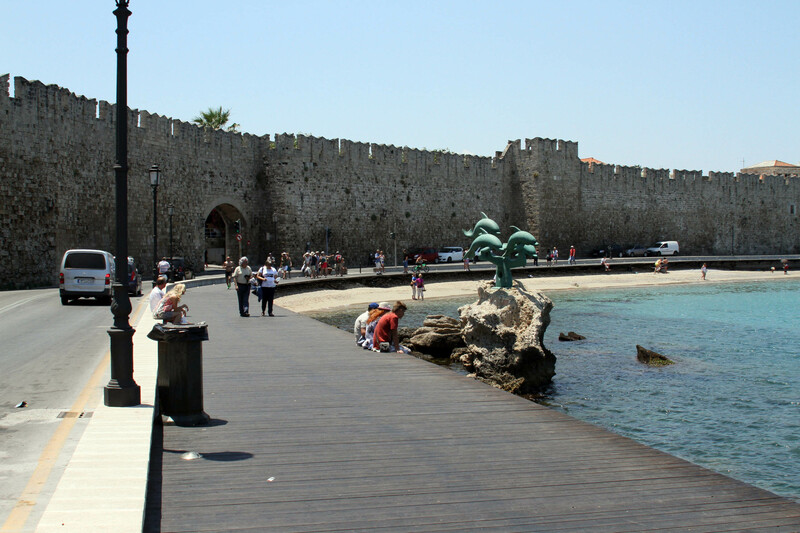 The city walls of Rhodes wrapped around the port. The modern stairs weren’t all that much better than the ancient ones on the left. 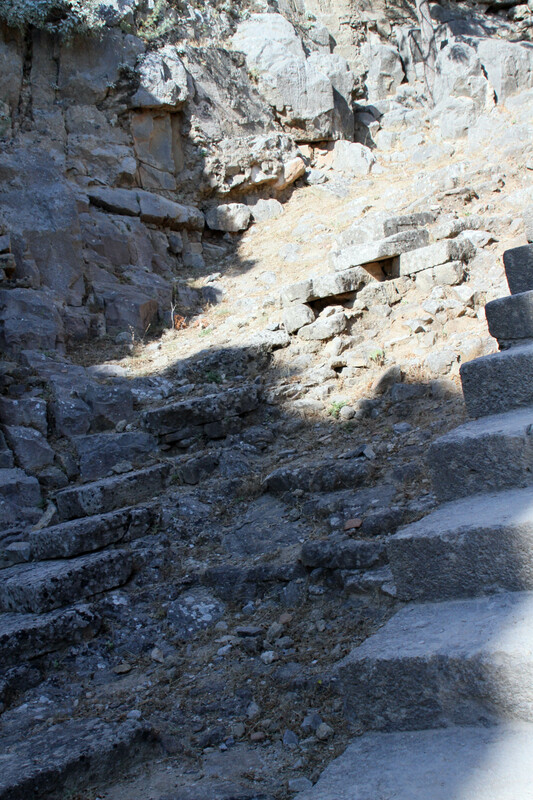 These were the last ones before entering the Acropolis on Lindos. A long walk up to Lindos! Marathons and Souvlaki, all in a day. 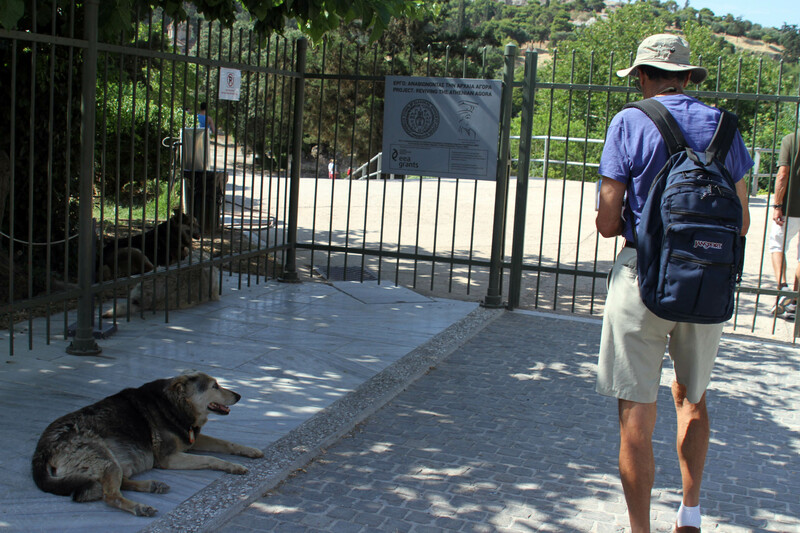 Day two of our trip to Greece and Turkey continues with more hiking around ancient ruins of Athens. 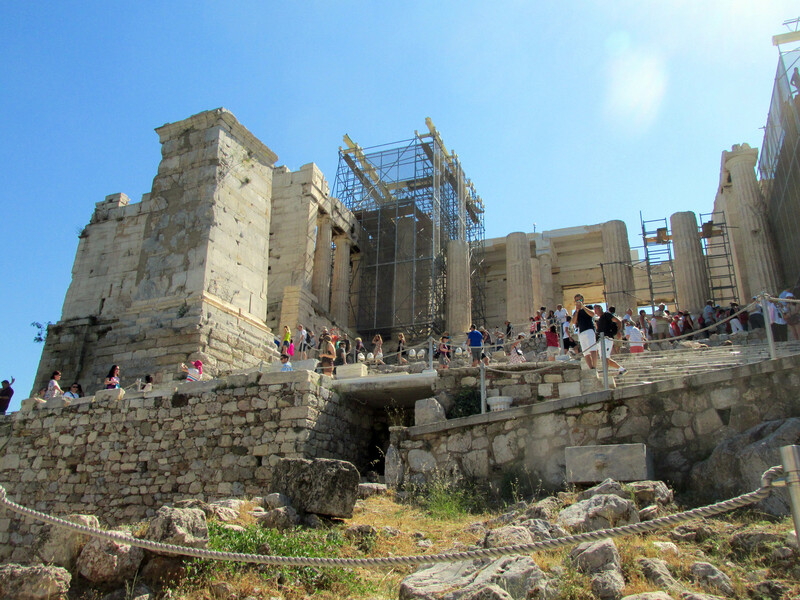 A half day tour took us from the Acropolis which I covered in my last post to the Olympic Stadium, the Acropolis museum, the stadium of Dionysus, and the Temple of Zeus. Our first stop of the day was the Olympic stadium. This stadium had been updated from the original one that hosted the first modern day games in 1896. During the Games in 2004, the marathon ended in this stadium before the closing ceremonies. Incidentally the term marathon comes from an ancient story. 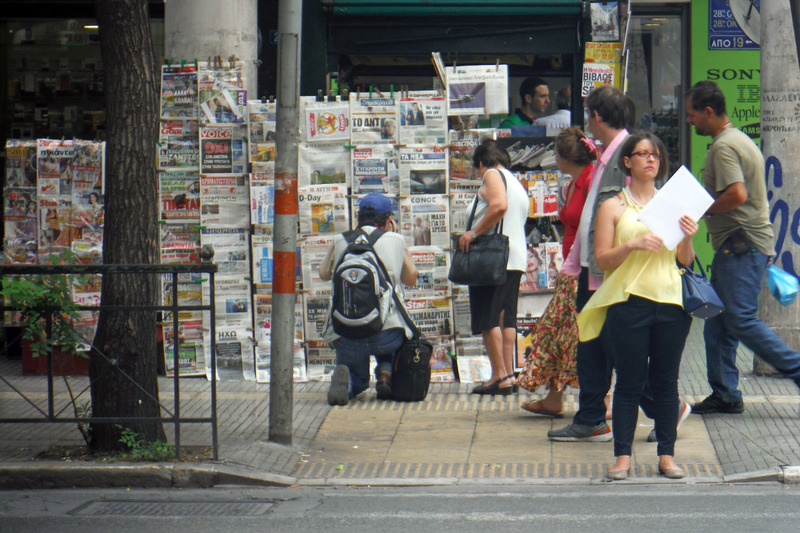 The Athenians were fighting a war and the people of the city were waiting for news from the battlefield. Once victory was assured, a man was sent out from the town of Marathon to hurry to deliver news to the Athenians. The poor guy ran the entire way and upon delivering the news collapsed and died. So now the long run is called the marathon. Anyway, the stadium holds between 40,000 to 60,000 people depending on who you ask. 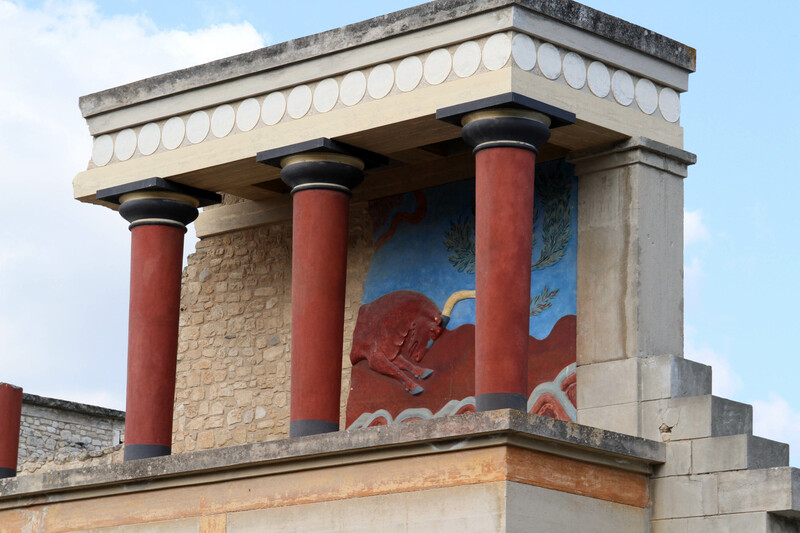 Down the hill from the acropolis is a wonderful museum where replicas of some of the sculptures and pieces of the frieze can be seen up close in person. 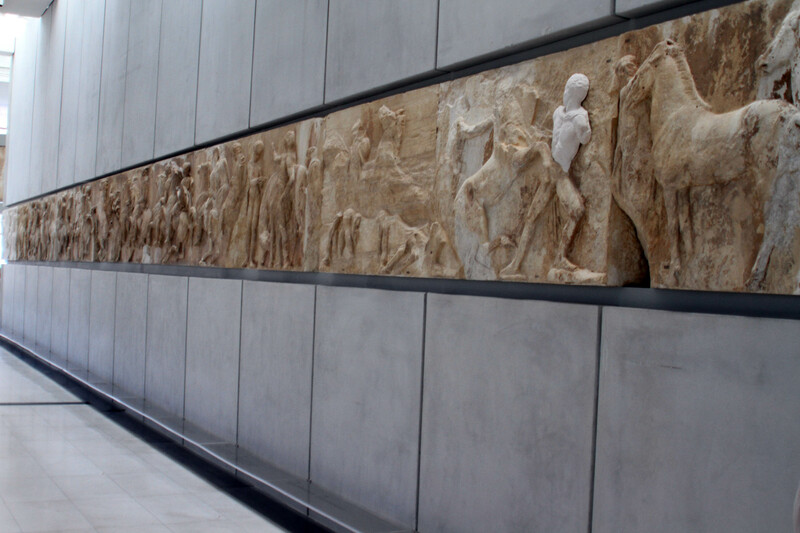 The frieze composes the carvings that used to decorate the upper portion of the outside of the Parthenon. The originals are mostly in the British museum but these replicas showed a procession of people which continues around the four sides of the building. 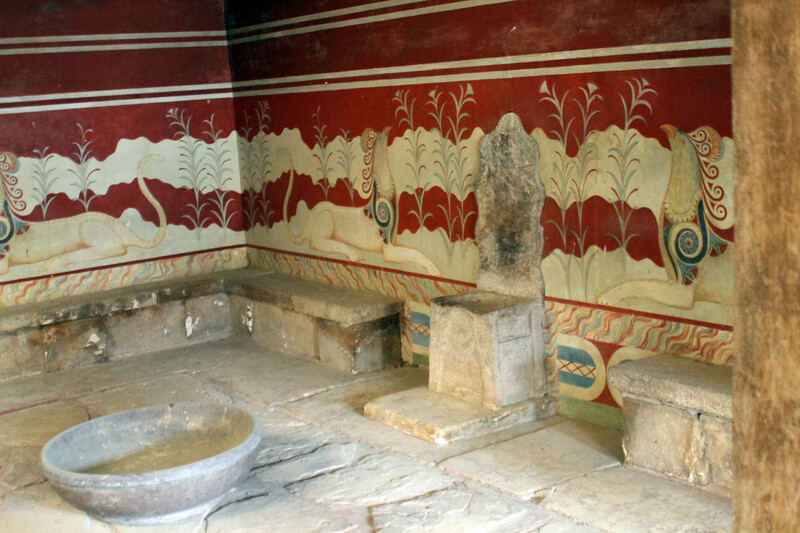 The museum also houses ancient sculptures depicting various people throughout the ancient world—how they may have looked and the kind of clothes they wore. Some were monuments to gods or just adornments for their noble homes. 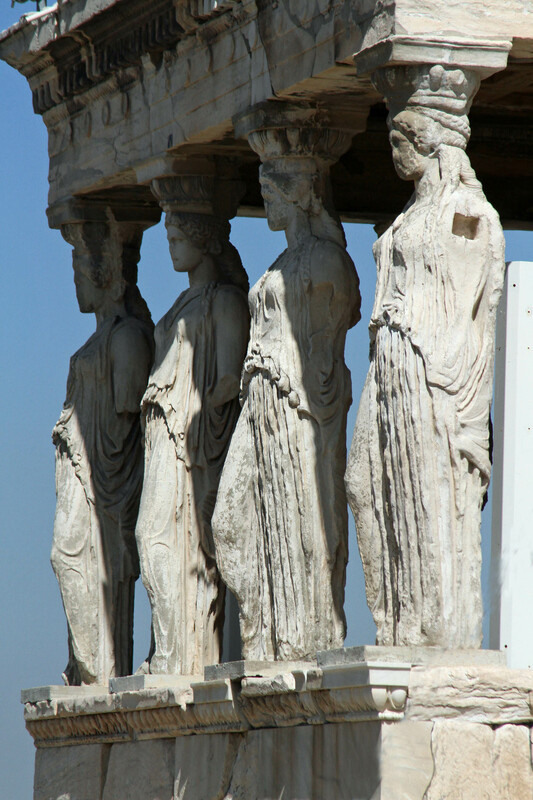 Some of the original caryatids (which were the women sculptures acting as pillars outside the porch of the Erechtheum on the Acropolis) were on display. 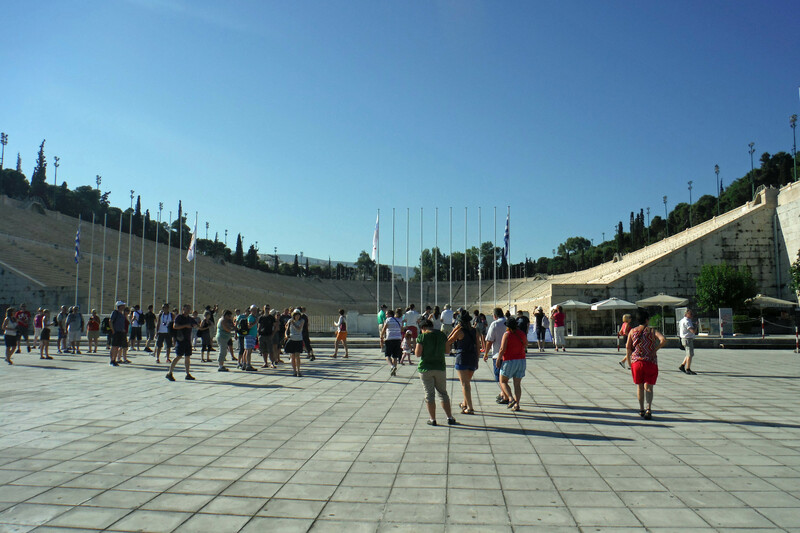 After enjoying the artifacts in the museum we wandered over to the stadium of Dionysus which sits just below the Acropolis. 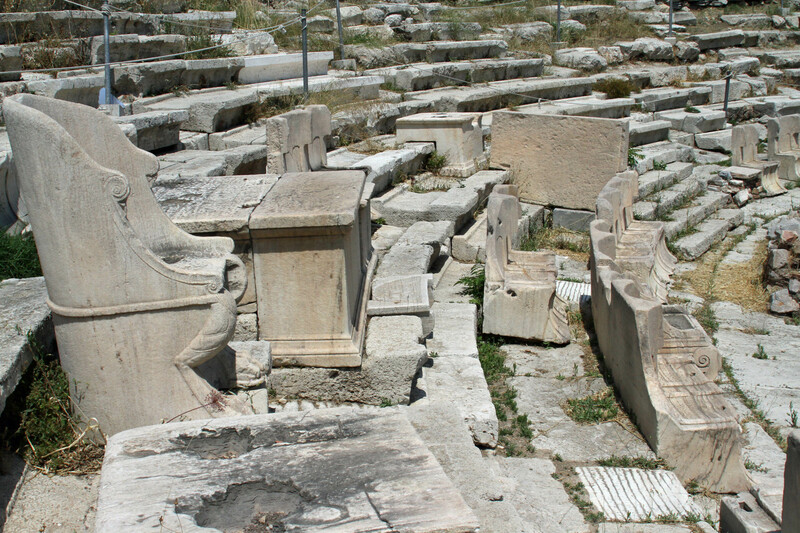 The top part of the stadium had eroded away but we could see some marble seats where the nobles sat—up front in the center facing the stage. Some interesting carvings sat amongst the ruins there. From there we enjoyed a delicious lunch in an outdoor café—the lamb meat basting on a pole which made up the yummy gyros we had. Kids came by with their accordions for change and we got to sit and relax in the shade before heading out. 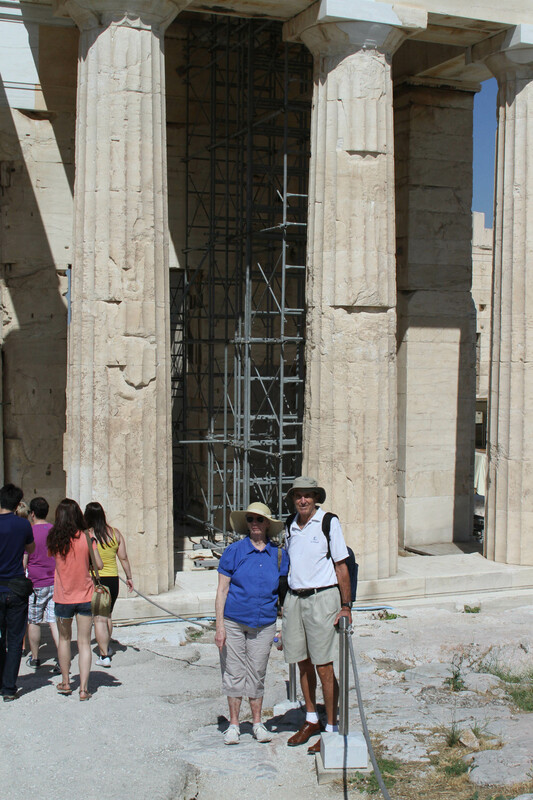 Next stop was the Temple of Zeus and Hadrian’s gate. 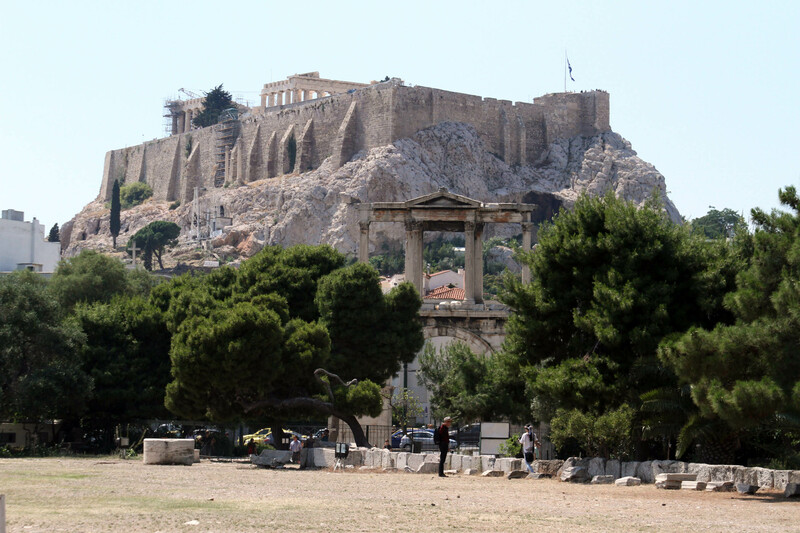 We had walked by this several times as it sits in the middle of the city and can be seen very easily from the Acropolis. The emperor of Rome, Hadrian, finished up the temple of Zeus and added the gate around 131 AD. We strolled around the tall pillared ruins watching as everyone took selfies. BTW, the amount of people taking selfies and people selling selfie sticks was so prevalent I was starting to actually get irritated by it. But I digress. There was a really cool looking ruin here referred to as the bottle caps. You can see from the photo why it is named as such. 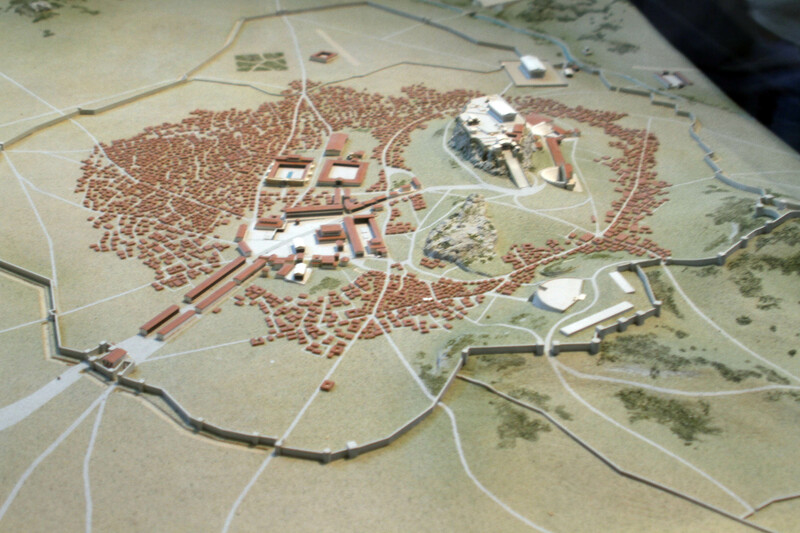 A view of ancient Athens, a model at the museum. On our way home, mom had an unfortunate accident and hurt her leg. She is now in a boot with a fractured foot but doing better. Needless to say this was pretty much the end of her excursions on this trip. Dad and I ended the day eating souvlaki (Greek skewers) and got some snacks and fruit at a little market before heading home for the night. 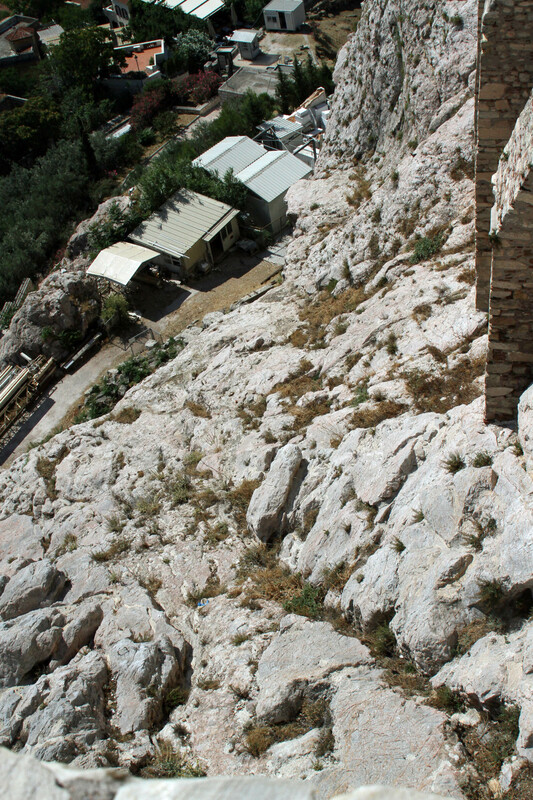 A view of the Acropolis from the Temple of Zeus. Hadrian’s Gate is at the corner of the lot. 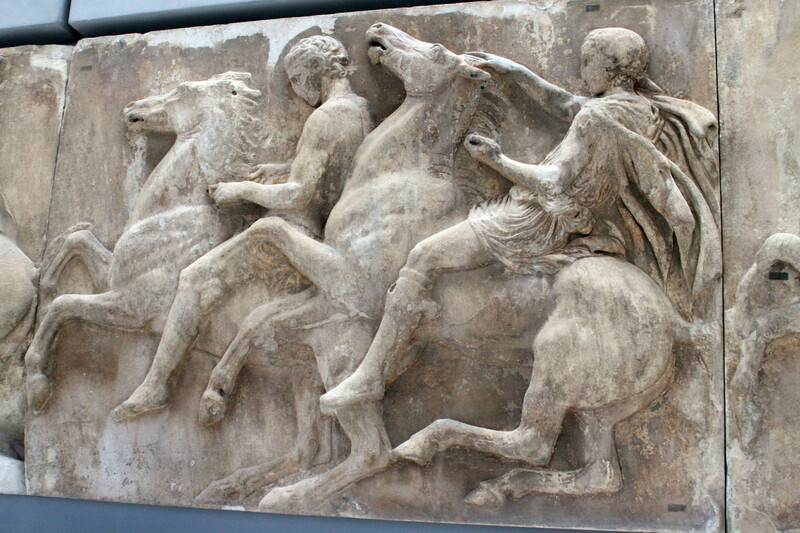 Part of the Parthenon Frieze procession. 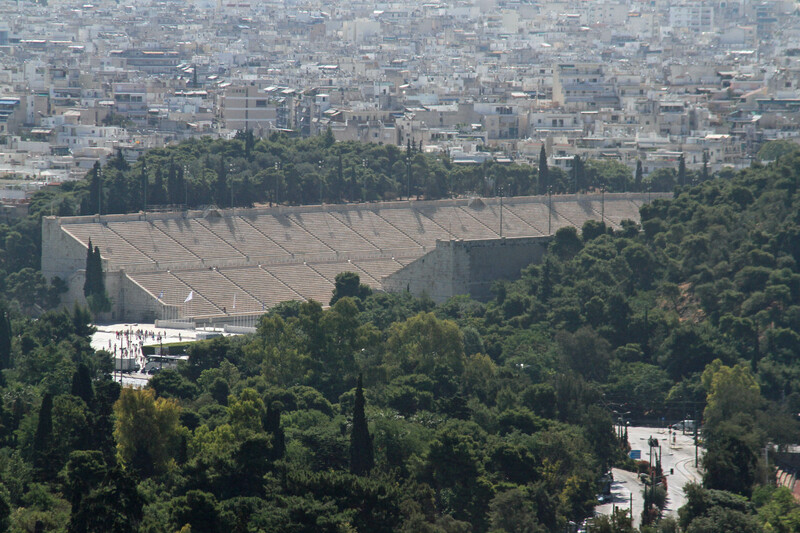 A view of the Olympic stadium from the Acropolis. Guess who Athens was named for? 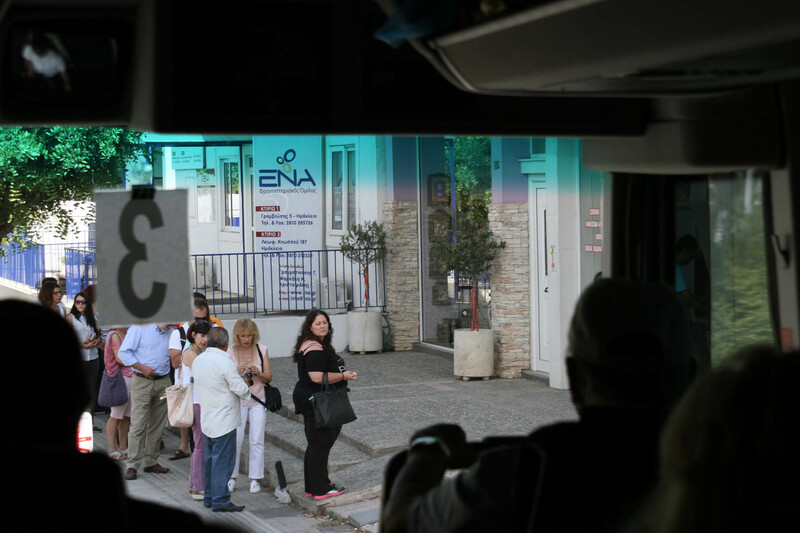 My continuing coverage on our trip to Greece and Turkey begins with the arrival in Athens, Greece where we were picked up by our guide, Kosta, from Homeric tours. 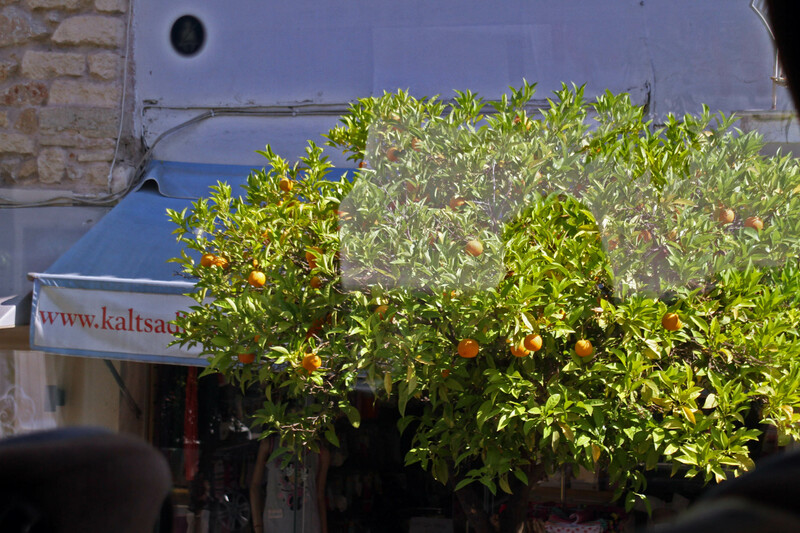 As we passed through the ancient narrow streets that were lined with orange trees and tiny cars, we caught glimpses of the Athens Acropolis. The parking was limited so there were many cars parked up on the streets and sidewalks. 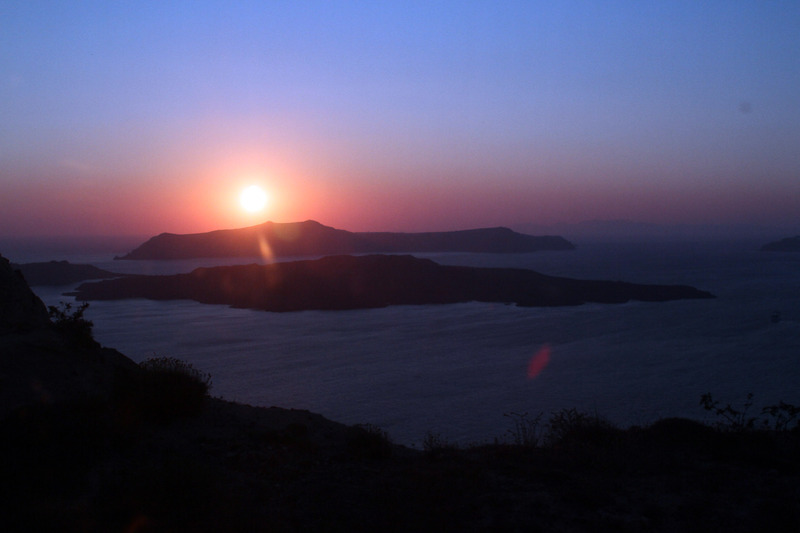 Very tired from the overnight flight, the three of us barely fit into the tiny elevator of the Athenian Callirhoe, and went up to our rooms. The beds were rock hard but the staff of this hotel were top-notch. Very helpful and nice to us during our entire stay. 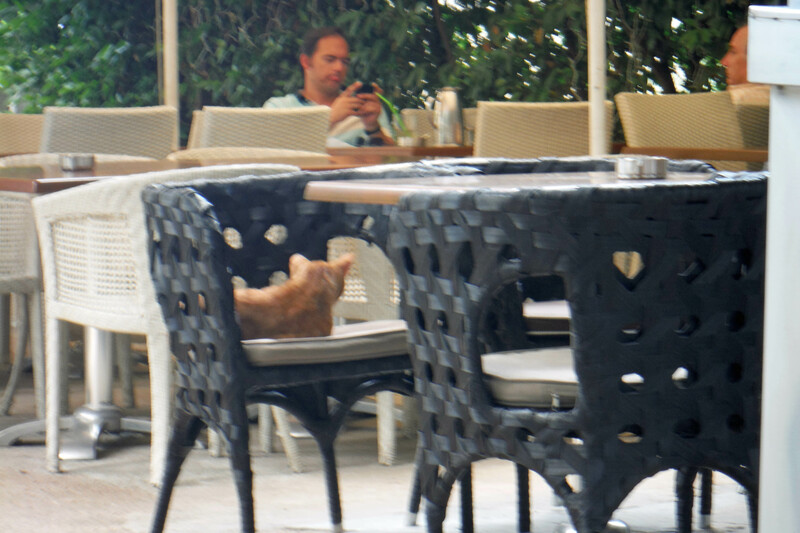 It was in a very good location, close to the major attractions and some metro stops and restaurants. 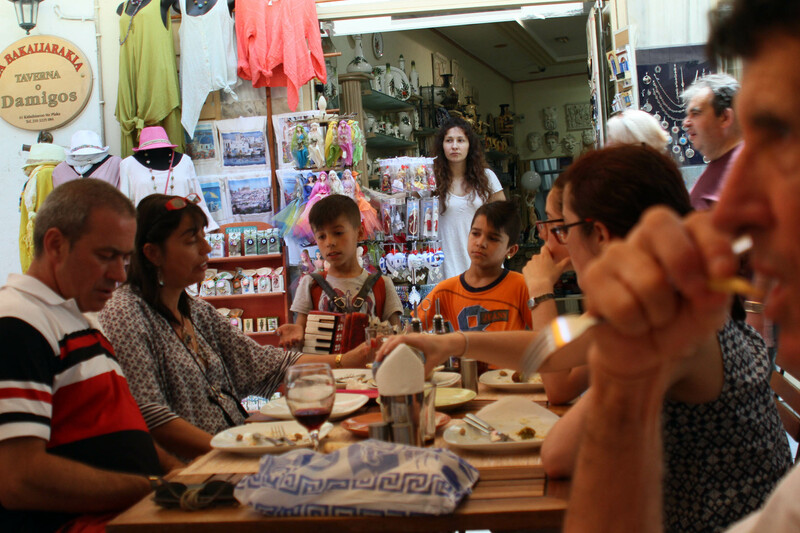 Kosta directed us to where the locals eat and we had a nice meal before hiking through the streets where we helped the local economy. The streets didn’t match up with the maps but the shopkeepers were very helpful giving us directions and then inviting us into their shops. 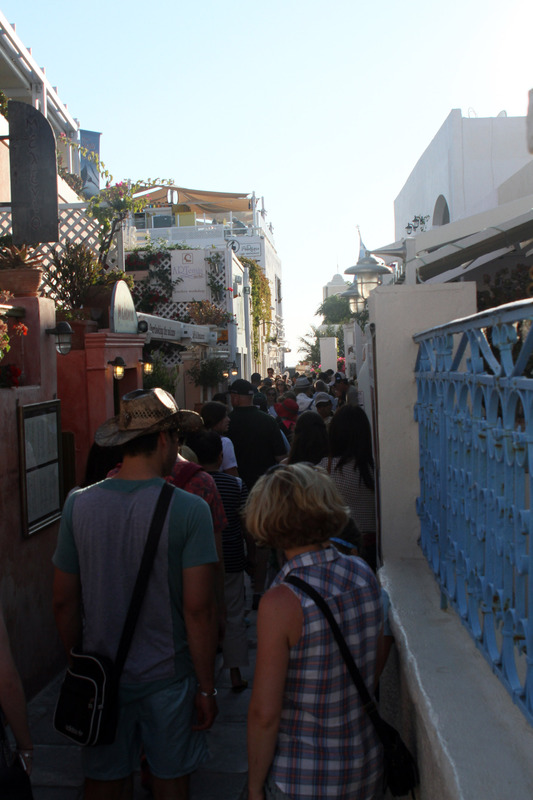 We were making our way up to the Plaka area. 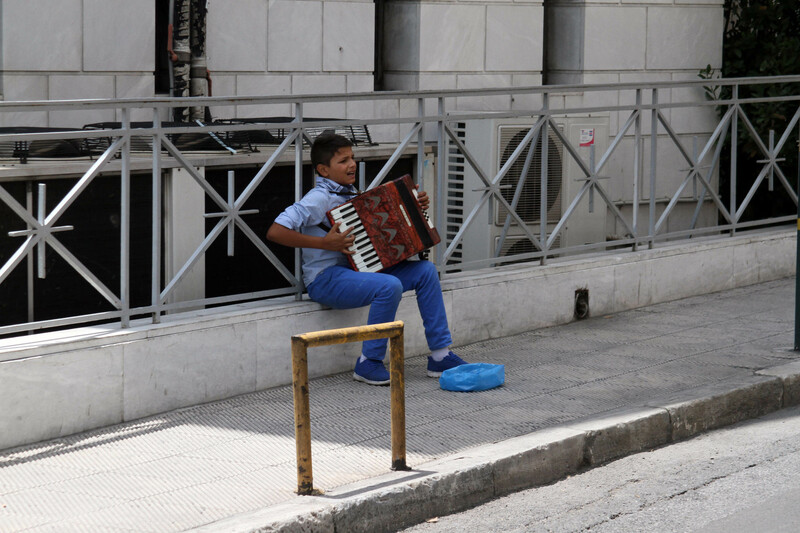 We bought our obligatory tourist stuff and gave some coins to some kids on the street who were playing bouzoukis (a Greek guitar) and accordions, attempting to make their daily quota for their adult lords. It was hot and I for one was very weary after traveling so we headed back and had a lovely dinner at the restaurant hotel. One of my thoughts walking the ancient streets was how much human history lies beneath the concrete sidewalks we were stomping on. 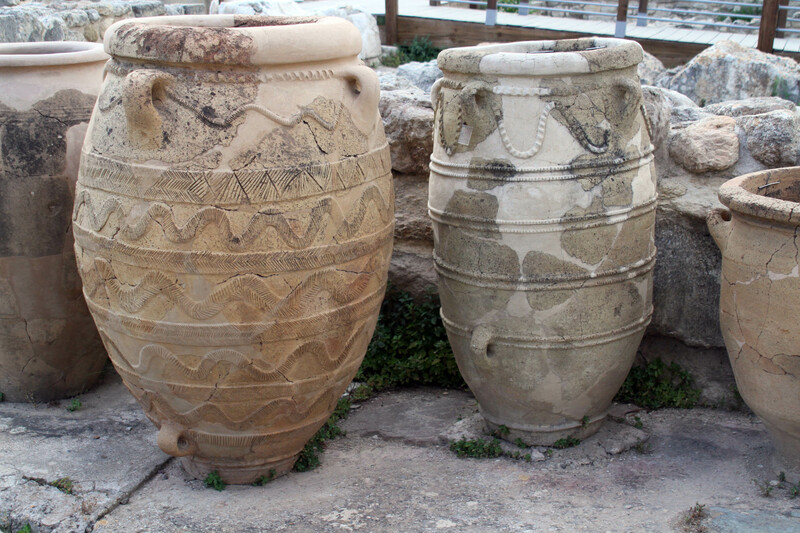 For now we have many wonders to explore and more are excavated each year. One thing I notice when we travel is the general character and décor of the living spaces in these big cities. In some countries you’ll see satellite dishes or water tanks on the roofs. 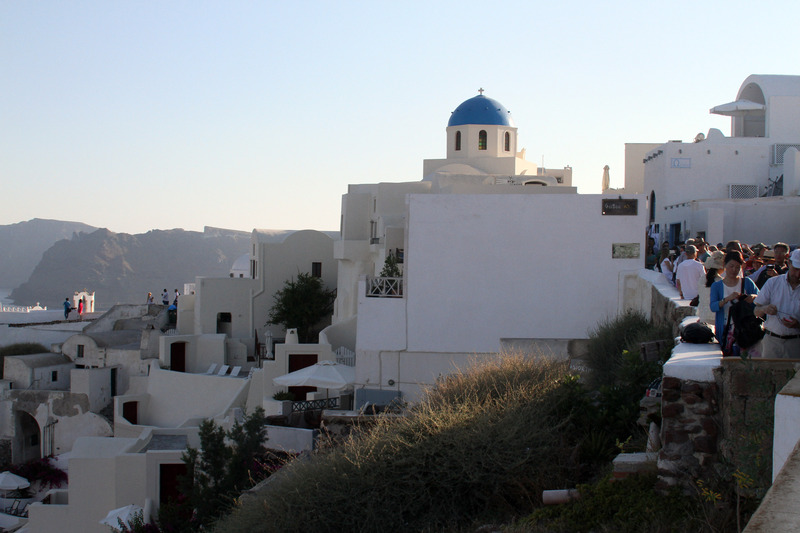 Here in Athens I would describe the apartments that are home to six million residents as having a drab type of architecture with lots of green foliage spilling off their balconies—most having awnings. 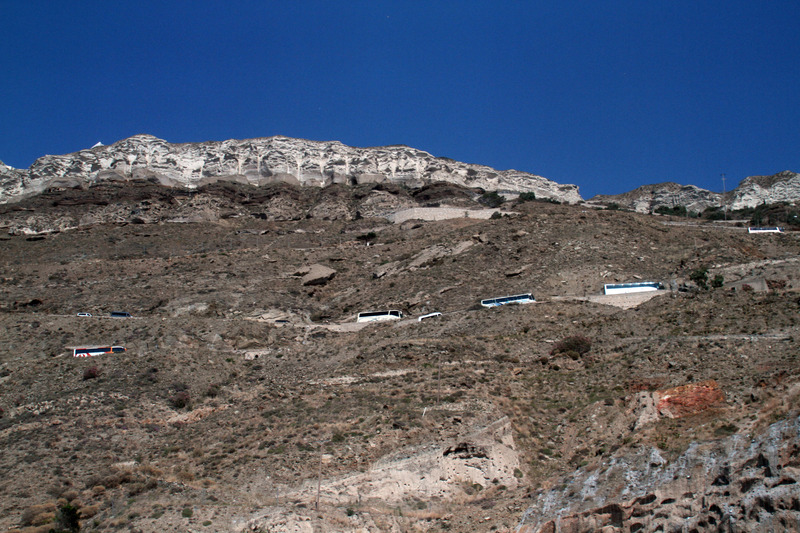 Their roofs hosted solar panels that also dotted the landscape. 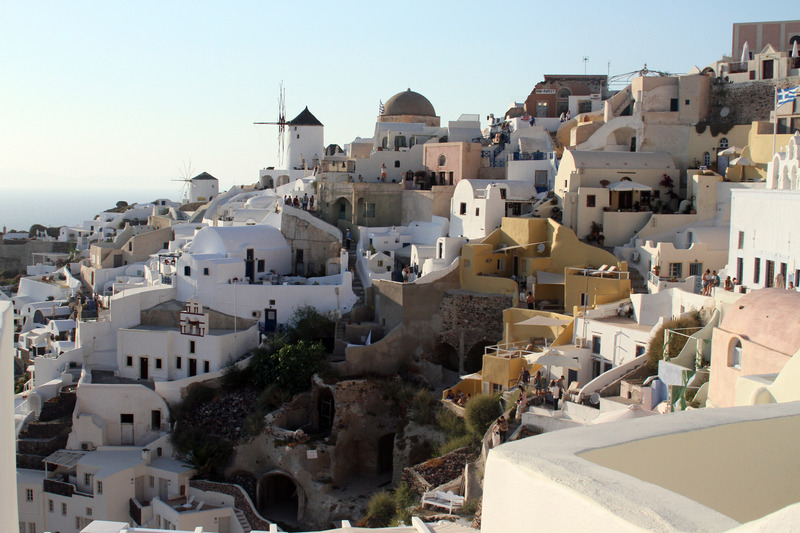 None of the buildings were very tall because there was a law to keep the view of the Acropolis open to the surrounding region. My parents were here 15 years ago and also 50 years ago as a young couple. My brother was a third wheel of sorts on that first trip, but not quite out of the cocoon at that point. 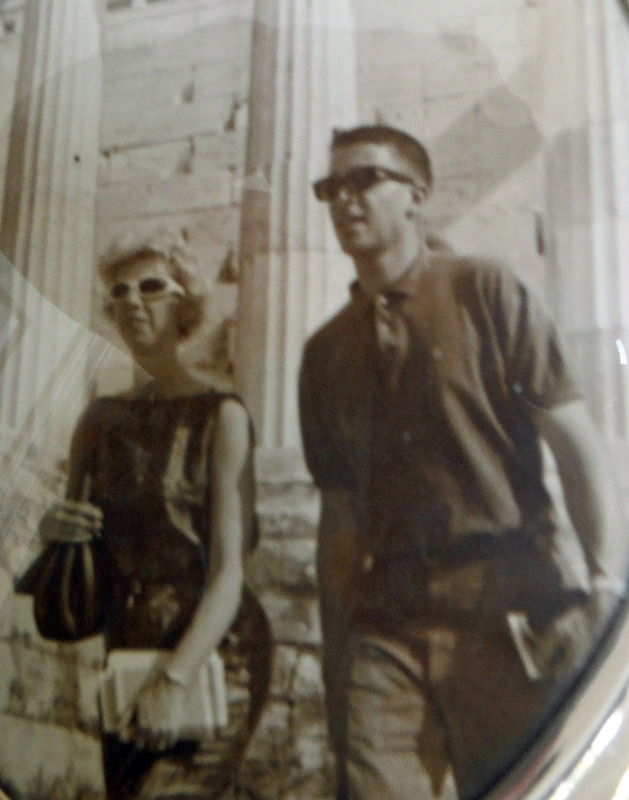 We have photos of my parents in 1965 at the Acropolis. 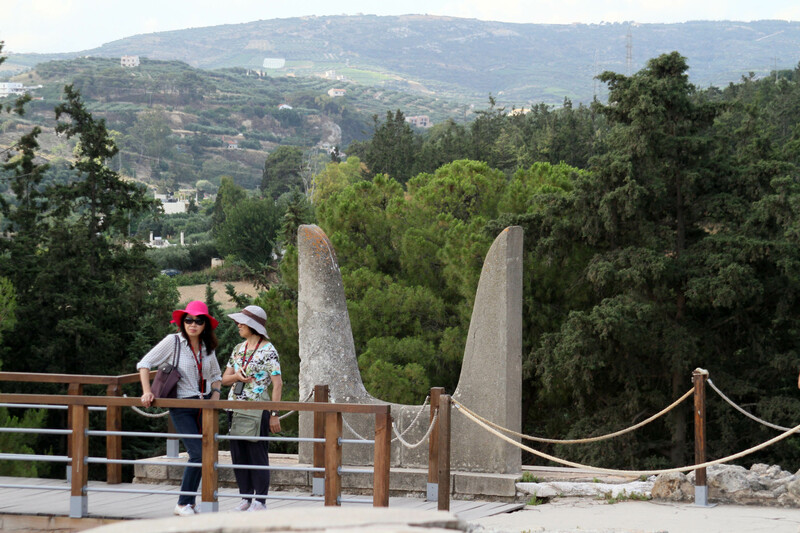 They enjoyed seeing the ruins again as we hiked up the tall local hill to the top. 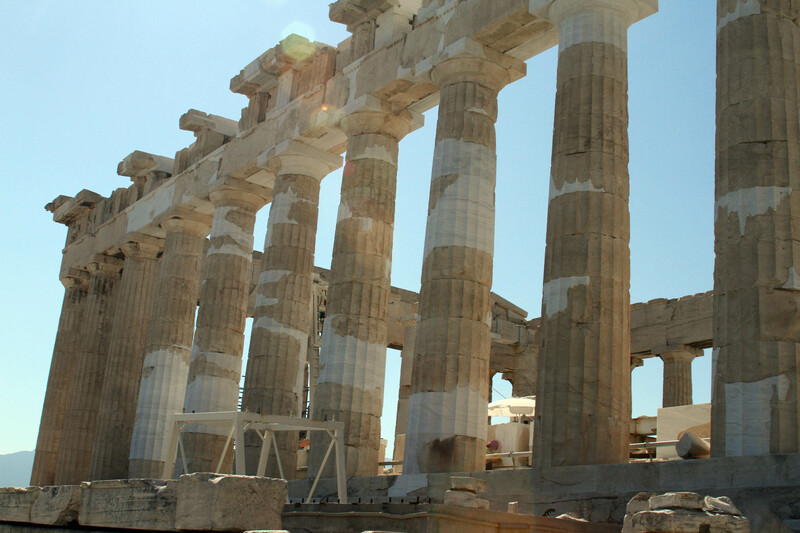 In each of the ancient Greek cities, there was an acropolis. 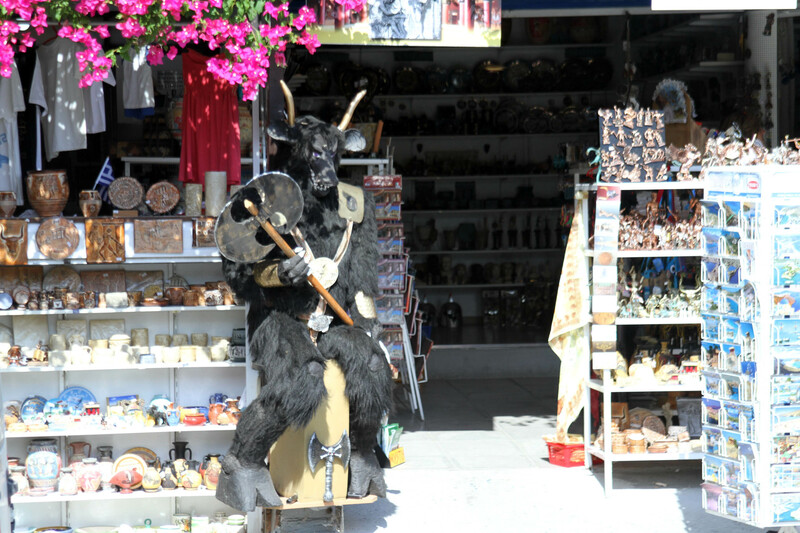 Most people know the one in Athens as the only one but there are many throughout the country. 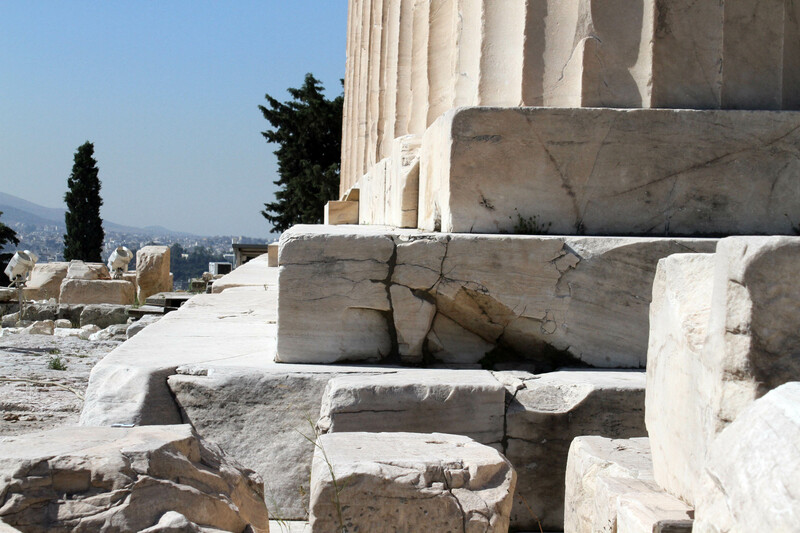 The Acropolis contains several ancient structures including the entryway or Propylaea. A monument to Agrippa still stands as part of the Propylaea. 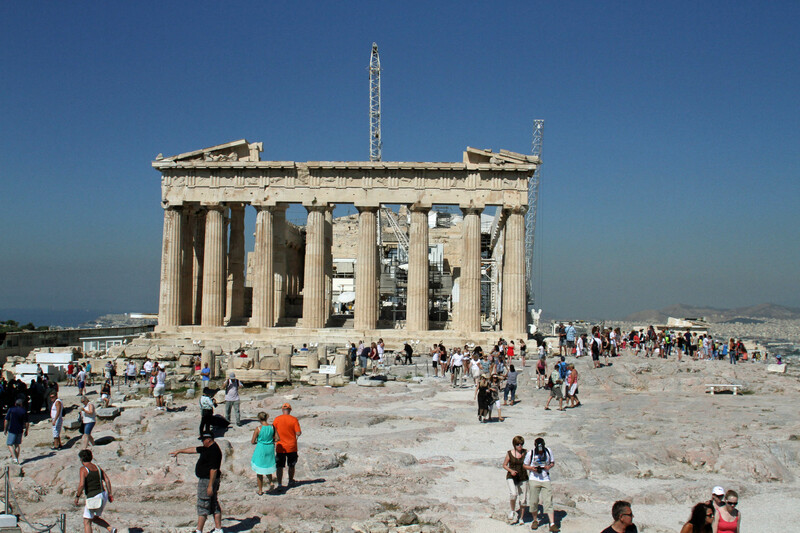 Also on the hill top is the Parthenon, which is the main structure, and the Erechtheum which was a temple to Athena and Poseidon. 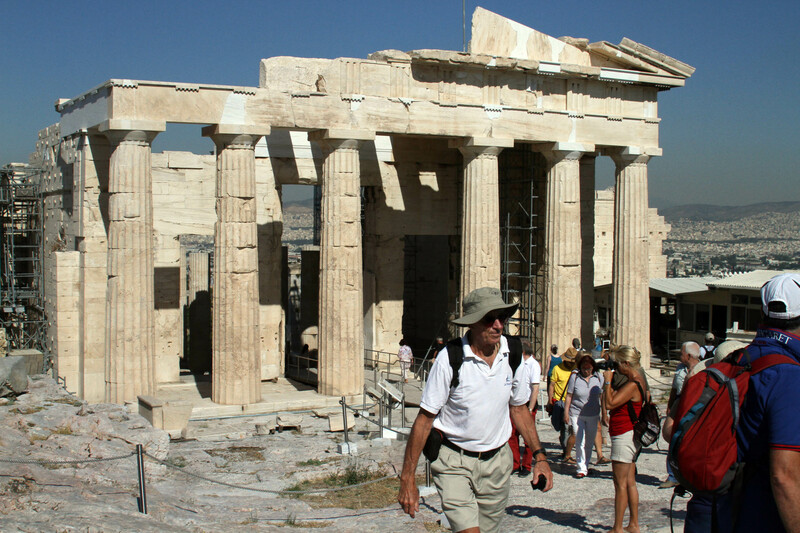 The Acropolis was the center of the civilized society and where the ancient nobles lived. The little people lived below in the low lands. As we walked among the ruins I was amused at some of the wardrobes of the tourists, including one woman with blue high heels. This was not exactly an easy place to walk around—uneven rocks everywhere. 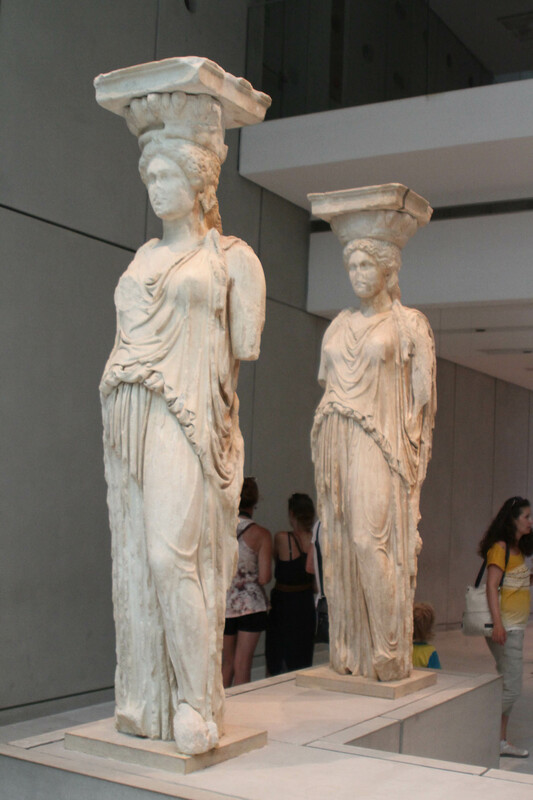 The story of the Parthenon involved a rivalry among two of the ancient Greek gods, Athena and Poseidon. Looking for a patron for the city, the King asked the two to participate in a contest. Each offered a gift to the people—Poseidon created a spring but it turned out to have salty water, which didn’t do anything for the people there. Athena on the other hand gave them an olive tree, providing sustenance and oil to light there lamps. So Athena won, hence the name Athens. 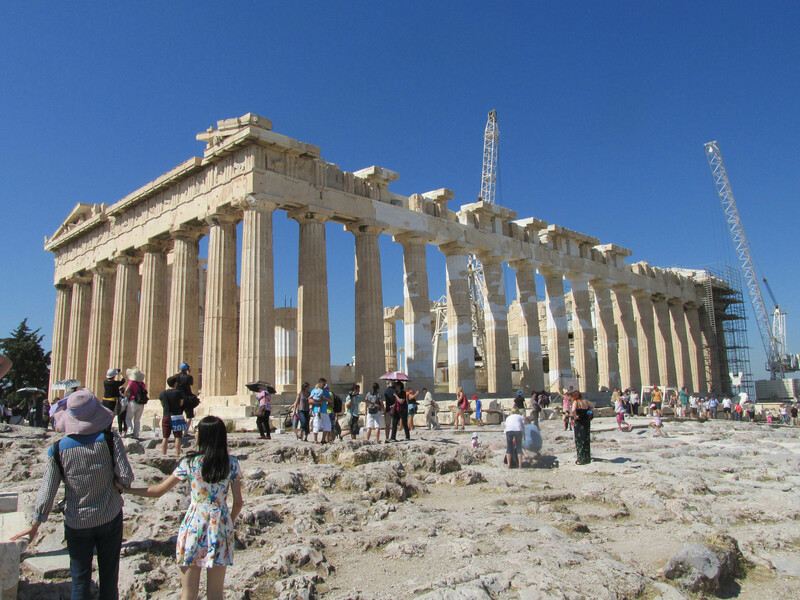 The Parthenon was blown up when the Turks, who were occupying Athens, kept their arsenal there. 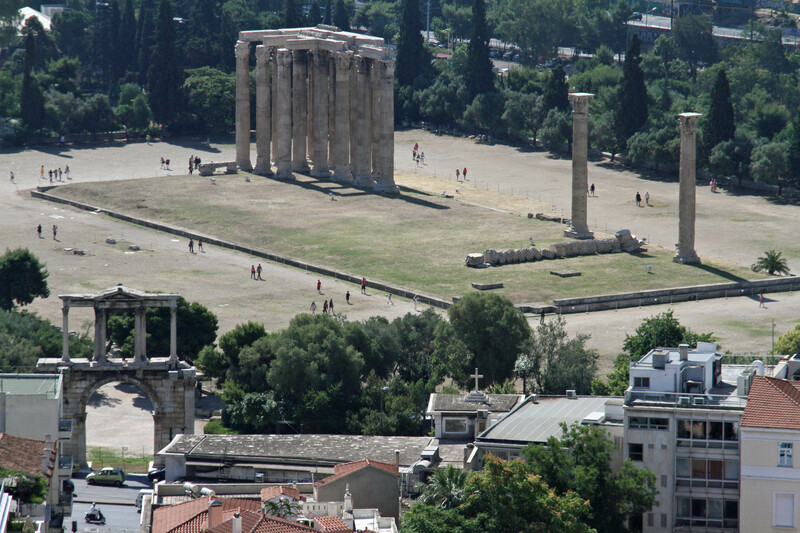 The Athenians were fighting back and bombarded the arsenal, taking the ancient ruin with it. It has a lot of scaffolding so they are working to repair it. 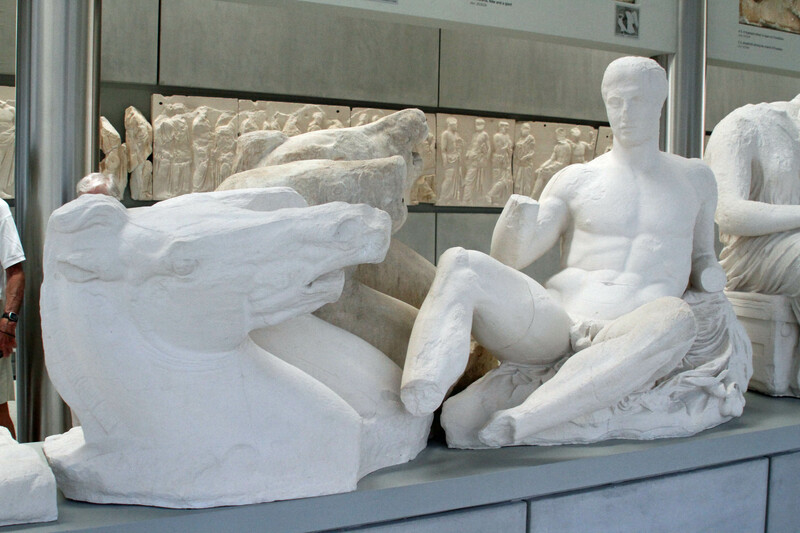 In the early 1800s, the British Earl of Elgin obtained permission from the Sultan (who ruled Greece at the time) to take whatever he wanted from the Parthenon and so the ancient Frieze that decorated the outside of the Parthenon went piece by piece to England where it was sold to the British museum. Day two will continue in the next post with a tour of the Olympic Stadium and more! Mom and Dad in 2015. Mom and Dad in 1965. 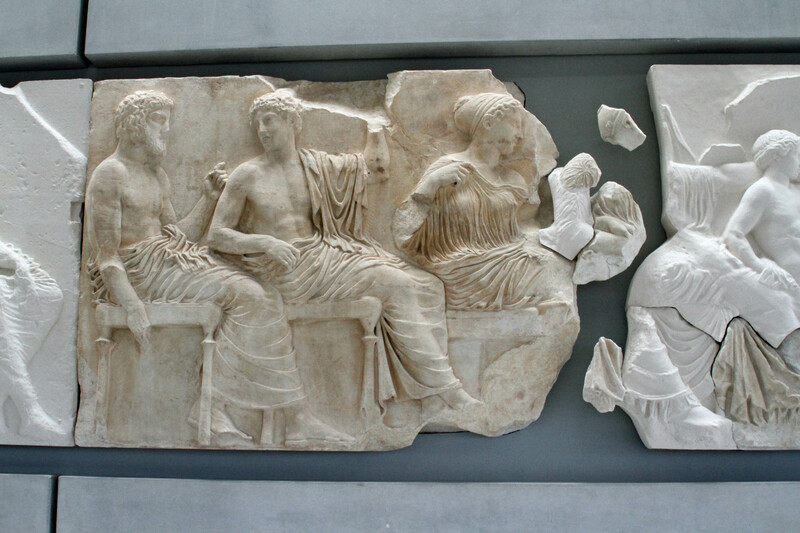 Part of the Frieze from the Parthenon. 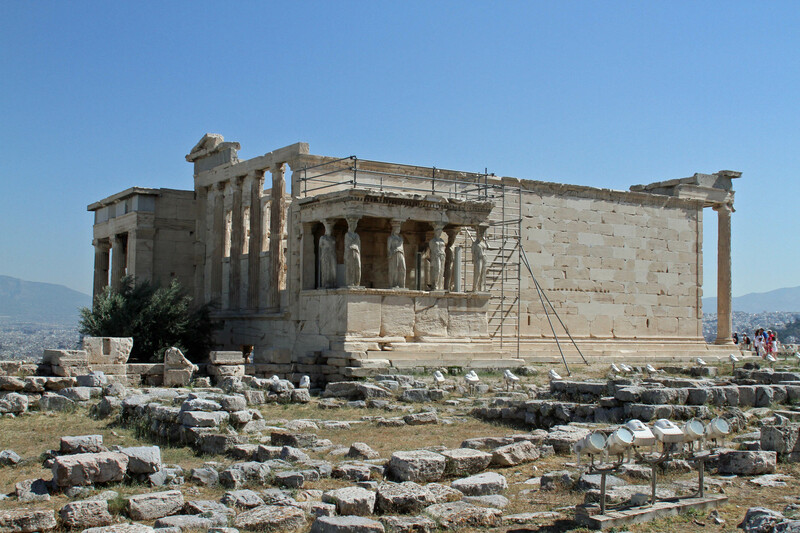 The monument of Agrippa (on the left) of the Propylaea.